At the end of last year I completed my new book and have subsequently shared the un-edited first draft and received various comments. As each Chapter edit is complete it will come on to the blog and the book will be published next year. I have taken all useful suggestions on board and subsequently subjected the book to professional editing as part of the process of going forward with publishing. The book as also been used together with previous published material to inform an SABC TV, three part series presently in production which has brought a range of expertise used in writing the book as well as a cross section of youthful voices from South Africa who explore the questions raised, in front of the camera. This process also was used to improve the text. HERE I SHARE CHAPTER ONE – WHICH GOES BACK TO LOOK AT THE PERIOD 200 BCE – 1600 CE and demolishes numerous myths that project a false or highly compromised view of pre-colonial history. A range of expertise is used in putting together, just in broad strokes, a different way of looking at prehistoric times in Southern Africa and almost 2000 years of pre-colonial history. Archaeology, Anthropology, Genetics, Paleo-art Science, Sociology, Social history and Oral traditional history are all consulted to build a picture of our past, as a curtain-raiser for looking at the last 50 years of the pre-colonial period. and the colonial period that follows. 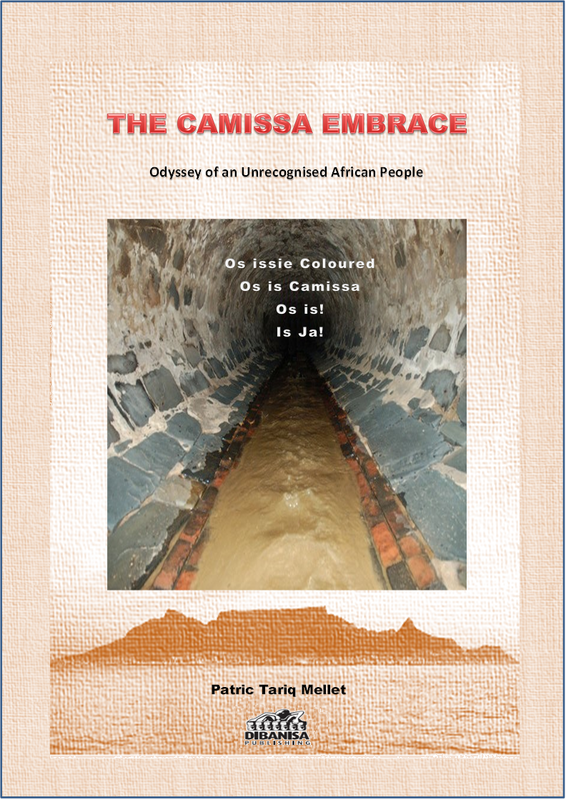 The focus from that point on is the Camissa story of those labelled “Coloured” – the story of a forgotten African people. A Wind Blows from Afar: The “Peopling of South Africa” through the coming together of micro-communities of hunters, herder-hunters, herders, herder-farmers and farmers from 2000 years ago. The “Peopling of South Africa” through the coming together of micro-communities of hunters, herder-hunters, herders, herder-farmers and farmers from 2000 years ago. In South Africa today we have manifestations of xenophobia, tribal and ethno-chauvinism, and racism, as well as dubious claims of being ‘First People’, narrow ethno-nationalism and all sorts of contestations rooted more often than not in championing relatively modern identity formations within a national territory – South Africa – which did not even exist until 108 years ago. South Africa was formed as a result of the Anglo-Boer War fought between the British and the descendants of the Dutch Settlers, who formed two independent republics outside of the British Cape and Natal Colonies. After the war in 1910 the Union of South Africa was formed with the borders being set in place. When proudly waving a flag created 24 years ago, shouting I am proudly South African and ‘othering’ those considered as outsiders, deemed to be aliens, we forget this fact that the Union of South Africa and its borders were created as part of a peace treaty ending a war between two competing colonial factions, the British and the Boers. We were also raised on a historically false colonial and apartheid narrative of there having been a sudden wave of northern “Bantu” or “Black” or “Nguni” invaders of South Africa in the 16th and 17th centuries, who allegedly stomped over people called Khoi and San, whom the Europeans supposedly “protected” when they arrived in what they saw as a relatively unpopulated Cape. This constructed stereotype identity of Khoi and San was later given an attribute of “Brown-ness” and the so-called alien enemy was given the overlay of “Blackness”. All of these terms – Khoi, San, Bantu, Nguni and the ethnicised usage of the tern “Black” in South Africa are all academic-ideological constructions that have become ideologically impregnated and loaded. We now know differently. There was never a sudden invasion and all modern tribal formations including the Khoena (or Khoi) evolved out of a very gradual migratory drift beginning over 2000 years ago, that brought micro communities of hunters, herders and famers together. Of these only many different distinct hunter-gatherer groups populated much of Southern Africa. Different formations of Africans were born in what is now South African territory from an array of older African formations. This happened gradually, long before the Europeans came to settle at the Cape. Another aspect of a skewed approach resulting from the silo constructs taken by the various academic disciplines, revolves around terms such as “hunter-gatherer”, “pastoralists”, “agro-pastoralist/farmer”, “agriculturalist/farmer”. or indeed, “herder”. All of these terms have resulted in rigidity of thinking and stereotyping people as “settled’ or “wanderers,” rigidly following only one lifestyle such as hunting, crop farming or herding. We all know that life just does not work this way where people are contained in little boxes and “never the twain shall meet”. Badenhorst makes the point that farming systems can either be horticultural or agricultural in nature, or a combination of these two. But we never hear of horticulturalists. Likewise we don’t hear of Bantu who were not agriculturalists (or horticulturalists) and San who lived in a permanent settlement and who did not focus on hunting but rather on cultivation, or found a niche for themselves as a spiritual-leader class in a multi-cultural society. If we really want to explore, we need some of these constructed walls to tumble….. then we may well come to other conclusions. It worries me for instance to see Khoena revivalists acting out stereotypes that may well have more to do with European stereotyping and exotic constructions than the historic reality. Certainly it is questionable to act out in the 21st century, a perceived Khoena behaviour pattern and dress of the 17th century as though if never colonised the Khoena would not have progressed and remained frozen in time. One may also ask why choose the European view of the Khoena in the 17th century and not the 10th century or 3rd century? Inevitably this results in Disneyland play-acting an ersatz Khoena fakery and becomes an insult rather than a tribute to ancestors. Complex societies, which now no longer exist as they did in antiquity, came about through further social revolutions that occurred in Southern Africa. We share this past with all our neighbouring states because they too saw new modern social formations emerge in their territories from the same early social formations. It would be more accurate to think of ourselves as Southern Africans with long and deep connections to each other. Indeed, there were none of the borders later imposed by colonialism. There was just Southern Africa without borders and it was the birthing place over 3000 year period of what came to be the peoples of the region. When we stop long enough to take that in and to think a bit more deeply about the past, it may occur to us to ask but what actually are the old African societal demarcation lines, if any, that defined group territories or kingdoms or empires in this part of Africa? Most of us will give a blank stare and say that they don’t know. How many of these demarcation lines, including the borders of the Republic of South Africa are artificial or arbitrary creations? We human beings love two things above all – collecting and discarding identities, and creating and destroying social constructs. Our history from the beginning of time is dominated by these traits. Critics will come up with stories of African kingdoms which were only created just over 200 to 400 years ago at a maximum, and then on these social constructs mythical, ancient attributes. Yes, four or five hundred years ago most of the names of groups and kingdoms that we use today were non-existent, or relatively minor clan formations, or in the very early stages of differentiation. There were however other societies in existence before these – some very powerful, covering large territories and exercising great influence. These societies, like the Kalanga, Tsonga and Rozvi rose and fell, or splintered in time, or metamorphosed into new entities. That is our social history that most of us would not be able to relate. But let’s also think about something else. During the time of the Union of South Africa and later the apartheid Republic – or even further back during the time of the Cape and Natal Colonies and the Boer Republics – who was it that laboured to build the towns and cities, work the farmlands, and extract the wealth from the mines? Was it simply people who lived in the South African territory defined by the Europeans? Were there no such things as SLAVERY, INDENTURED LABOUR and MIGRANT LABOUR, drawn from across Southern Africa and further afield from Madagascar, India, Southeast Asia and China? This concept of separateness that was cultivated by apartheid dominates our minds so much in South Africa that we prefer ignorance. Yes, many just do not want to know because they fear that it dilutes the meaning of the more modern formations to which they turn for identity. When these people worked here, under duress, was it relatively easy for people to understand each other’s vernacular languages, faith, culture and customs, or did some new language or creole culture come to be born? Did these people not also produce offspring here with local people during these last four centuries, or do we believe that miraculously the peoples gathered here from so many places were celibate or practiced ‘race-purity’ sexual behaviours? There is sometimes at play, a willingness to be ignorant that knows no bounds. We so easily engage in “othering” without thinking. We actually have COUSIN-CONNECTIONS throughout sub-Saharan Africa and beyond to Arabia, India, Southeast Asia and China. The “Peopling of South Africa” is a fascinating history that is much, much, older than modern tribal name-tags that we deem so important. Steve Biko promoted a common social consciousness for all people of colour, known as “Black Consciousness” before the apartheid regime hijacked the term “Black’ and then used it in a narrow ethnic manner. Black Consciousness drew on the history of Africa beyond the confines of borders created by Europeans, and the history and heritage of people of colour across the world. The huge African and Asian diaspora across the globe as a result of slavery also had its own impact on South Africa where around 68% of slaves were from Africa – some of these even from other parts of South Africa when we trace the origins of those slaves who were called “Masbiekers”. The journey that we are going to take in looking at the “Peopling of South Africa” and the theme of the “Ties that Bind Us” sets out to demolish popular historical distortions by looking at pre-colonial histories of two areas – the far north social formations of the Shashe-Limpopo Basin, and the far South “Shoreline Frontier” of the Camissa (║amissa). The crossroads between these two poles of South Africa was the Gariep River. It is through a series of events that took place around these three rivers in South Africa that all modern South African peoples can find their genesis as a result of migratory drifts, segmentation, differentiation, stratification and the cross-societal engagements and events over time – they are the Limpopo river, the Kai !Gariep river and the Camissa river. It should be noted that we could go further north and include the Zambezi River too. Our journey will not be a comprehensive and highly detailed examination of all the events nor will we look at the micro histories of all of the different tribes and clans that emerged in modern times, as the intricacies involved would require a huge number of volumes. Our aim is very specifically focused on the linkages and common roots that we share, so that we can weave a story that is simple to digest and relate, but which has been ignored or replaced by distortions. Key factors have been filtered out for the sake of modern nationalisms. Behind this simple narrative there is a huge amount of complex interdisciplinary work that can be consulted and that involves much discourse and debate and indeed is an ongoing exploration. Here we do not go into all the intensive meanderings that can be explored through archaeology, genetics, linguistics, sociology and anthropology but do acknowledge that there is much fascinating debate and discourse to look at. It is important that we try to be as informed as possible by the work of these disciplines, as well as by traditional oral accounts. We note upfront that we do not entertain what can be described as pseudo-history and wild claims rooted in dishonesty or racism/ethnicism. May I encourage you to look at footnotes and follow through and read the works of others? Over time I have learnt more from footnotes than texts. Frequently the information in history that falls between the cracks is found in footnotes. The exploration of South African history and heritage has often been dominated by a colonial eye and mentality, but in recent years there has been a coming together of archaeology, anthropology, sociology, history, genetics, linguistics, art and oral traditions in a manner that was never done before and for the first time this has included the voices and thoughts of people of colour. Within this arena we believe that most researchers have broken out of or been forced out of the old colonial straightjacket and at least they have taken a more universal than Euro-centric approach and embraced an exploratory paradigm. In South Africa our institutions of higher education have tended to be Euroversities rather than Universities. We have much un-Euroversing to accomplish so that our museums and places of memory, and teaching institutions can embrace Africa and the Universe. This new look at the past themed on “what bonds we share” has broken some of the narrow rigidity of the thinking during the colonial period and we now have many more questions that are being asked as we unlock the past. It is when questions are asked, not when we rest back in the comfort of rigidity that wonderful missing parts of our past come to light. The information emerging challenges colonial boundaries, both mental and physical, and as such it also forces us to think of ourselves more as Southern African and Pan African than simply South Africans. It also reveals that we have more international affiliations than we realized, instead of boxing us into a narrow nationalist mode. Rather than South Africa being isolated from the world beyond our borders until the European colonists arrived, a new look at our history and heritage reveals trade with Arabia, India, Southeast Asia and China many centuries before the Europeans made their “discoveries” and turned up on our shores. Our new look at our past, outside of the colonial paradigm challenges false notions propagated by some that there are exclusive ‘First People’ or a ‘First Nation’ who are the only rightful heirs to South African territory. It may be more authentic to see a number of early societies to be “foundation peoples”. Other notions cultivated over time that some relatively modern entities are ancient kingdoms stretching way back in time are also being challenged. A degree of trendiness has occurred where a tiny minority have taken to inappropriately copy-catting US, Canadian and Australian terminology that opposed European colonialism and then overlaying that on South African history primarily to cultivate the notion that people considered “black” (as different from “brown”) can be equated to the European colonialists. Under PW Botha’s Apartheid regime everything was done to drive a wedge between that part of the African community which Botha labelled “Blacks” and those they labelled “Coloured” whom they encouraged to think of themselves as “Brown” as distinct from “Black”. It was an attempted in the “divide and rule” tradition to make one group of people of colour to believe they were superior to others. Some bought into this, but most did not. Those now thinking of themselves as “Brown” also were primed to believe that those Africans labelled “Black” were alien invaders and that the only true indigenous Africans of the South were “Brown” and not “Black”. As such those claiming to be “Brown” copied the notion of being “First People” of South Africa and that “Black” people were the same as European colonisers of indigenous peoples of the USA and Canada. Mellet puts forward the argument that human beings are collectors of identities (plural). As much as we collect identities from the day we are born until the day we die, we also discard identities. When we perceive ourselves as not having an identity we become uncomfortable and soon adopt an identity through self-identification. We resurrect distant and extinct identities too, even if some of these were a figment of some writer’s imagination. Worst of all we work ourselves up into such a state or allow ourselves to be so worked up, that we are prepared to kill or be killed in the quest to defend and advance such identity notions. This paper rejects concepts of ”race” purity, ethnic exclusivity, and the “othering” of peoples. This is complete nonsense rooted in Apartheid ideology when PW Botha launched his “total strategy” in the late 1970s with one of its objectives to ensure cementing relationships (toenadering) between white Afrikaners and what he called “bruin” Afrikaners and this is how the language of “bruin-ness” came about. It was a direct response to the Black Consciousness Movement and aimed to undermine it. Part of that same strategy was to discard the term “Bantu” and replace it with the ethnicised version of “Black”. And people bought into this and it is my opinion that even the African National Congress fell for this manipulation. This paper proceeds from the basis that there is much more exploration to do on the subject matter of the “Peopling of South Africa” and the “Ties that Bind Us”. I make no claims of super-expertise in any of the hard sciences and I do not seek to diminish the importance of these sciences. Indeed I encourage people to consult these sciences and to do so critically rather than bloody-mindedly. This approach encourages people to go and learn from the hard sciences and social sciences or humanities and use them to explore our past. The sciences can indeed help us navigate the identity minefield. This approach simply takes an overview snapshot to show the big picture of our beginnings; one which challenges the rigidity of the dominant skewed narrative, in the interests of promoting further discourse and exploration. Academics have unfortunately done us one very big disservice in that they have created, unwittingly perhaps, a colonial-aligned way of thinking, by using the terminology of a kind of in-speak or techno-speak which has jumped the tracks. Karim Sadr when looking at the absence of a Neolithic period in Southern African archaeological research interrogates rigidity of thinking that blinds many academics in South Africa due to a paradigm of thinking that negates possibilities. He finds no reason as to why there is no conceiving of “hunters who kept sheep” rather than the rigidity of only seeing that ”herders kept sheep”. This same thinking translates into rigid walls between what are seen as heterogeneous races – San, Khoi, and Bantu. In this way they have set the parameters of thinking that have fed the “race obsession” in South Africa. The terms Bantu, Nguni, San, Khoi, and Khoisan, which attempted to group highly diverse micro communities into “types” for academic discourse around linguistics, anthropology, archaeology sociology and political theory certainly jumped the tracks to become no different than those terms used in racism theory – Negroid, Caucasoid, Mongoloid, etc. The terms became a Frankenstein Monster. For instance there are other academic terms related to archaeology like Kwale, Nkope, Kalundu, Bambata, Icon and dozens more, denoting cultures, which pay more attention to diversity but rather than opt for the terms already mentioned because it fits the race paradigm of thinking, which has been the predominant preoccupation. The latter terms do, however, track actual diversity in cultures and show how more diverse they keep getting over time as these cultures mix with others, segment, differentiate, and so on. The approach taken in this paper opens the mind to how we humans really behave rather than shutting down impenetrable silo walls in the manner that has happened for instance in the false Bantu-Khoisan divide. The fact that South Africans today are the most DNA-diverse people in the world itself teaches us something. Sub-Saharan DNA (sometimes referred to as Bantu DNA) is shared by many who also have Southern African DNA (sometimes referred to as Khoisan DNA). South Africans also have a range of Asian, North African, Southeast Asian, Eurasian, European and other DNA mixes. Effectively the misuse of academic labels meant for other purposes has led to both skewing history and falsifying history. Pseudo histories abound and specifically target Africa and its people to create new divisions and confusion. When you track some of this pseudo African history back, they inevitably have their roots on the fringe in the USA outside of mainstream African American academia and would seem to me to have been concocted to undermine some of the great black academics such as Walter Rodney and others who provided a biting analysis of imperialism and its methodology for undermining Africa.. Walter Rodney was assassinated for his historical analysis and all the clues lead to those powerful forces that do not want Africa’s star to shine bright. It’s ironic when these notions are grabbed with open arms by those very people they were designed to undermine. Pseudo history comes in all shapes and forms and in my opinion is counter-intelligence and part of a divide and rule strategy. Some characters even will suggest that archaeological sites, such as the Bokoni terraced farming, showing advanced African civilisations are the work of aliens from outer space rather than to accredit its existence to Africans. Pseudo-history should never be confused with a critique of colonial myths and falsehoods. As Bob Marley in his Redemption Song said, “None but ourselves can free our minds.” Particularly young minds tend to quickly embrace what seems trendy and counter the norm. Avoid these distractions and subject everything to robust interrogation, is the best advice that I can give. The term “San” is simply an academic term for what were hundreds of different micro communities, who shared genetic and linguistic markers and lived over time below the Zambezi Basin, across to Angola in the West and Tanzania in the East and all the way to the southernmost tip of Africa – Agulhas. Beyond the academic term “San” or the term “Bushmen” each of these many societies had their own names. There is an erroneous notion in South Africa that locates the San only in the Western Cape or only in South Africa and does not recognise the much broader effect that these diverse micro communities had on the ancestry of other African peoples. There is no one size fits all “San” people. Those that academia gave the label “San” actually were hundreds of different communities each having their own names. Today one can use the reference ”San” and “First People” only for the following peoples and their sub-clans – !Xun; Hai//om; Ju/hoansi; ǂX’ao//’aesi; Naro; Nju; ǂKhomani; Khwe; //Xegwi; !Xõó; /Gui; Khute; ǂHõã; Tsila;//Gana; Deti; Tshua; Tyua; //Anikhwe; and Bugakhwe. They are said to number around 7500 people with just 1500 in South Africa. In Tanzania in East Africa there are also “San” or “First People” communities known as Sandawe and Hadza people who are closely related to both San and Khoi communities in South Africa. The original Cape San known as the /Xam were exterminated in acts of genocide largely between 1760 and 1880, with further pressure after that leading to the very low numbers disappearing during the 20th century, leaving only a feint trace behind. According to de Jonghthe nearest people today who are descendants of the /Xam are the people known as the Karretjie mense (cart people). In genetics a more accurate and less ethno-centric language is used, not employing terms such as San, Khoi, Khoisan or Bantu when identifying DNA families, namely rather using terms like ‘Southern African DNA’ and ‘Sub-Saharan DNA’ or ‘North African DNA’ and ‘Nilotic DNA’, ‘Eurasian DNA’, ‘European DNA’ etc. These geo-terms allow us to look a little more objectively at the distant past. The term “San” is an umbrella for hundreds of distinct identities with the oldest and most diverse dna in the world. Humans and apes are said to have common ancestry from the Miocene period around 8 million years ago. Early ancestors of archaic humans can be traced back in various parts of the world from before 2,5 million years ago through markers that they left behind. When we refer to such common ancestry and talk of archaic humans, it must be noted that we are not referring to Homo Sapiens – modern humanity. From the emergence of humans there is also a developmental journey towards modern humanity through geologic ages including the stone-age and iron-age. There are a number of publications that are simple and useful to consult in understanding this progression, such as that of Hilary John Deacon and Janette Deacon, as well as Hermann Giliomee and Bernard Mbenga. But this is also an arena that sees regular new findings emerge and for this one needs to look at a basket of new academic papers, often complex, over all the disciplines mentioned. We often hear people make sweeping claims that their ancestors occupied the land for millions of years or hundreds of thousands of years, but such statements are not rooted in fact and we must distinguish between early or ancient ancestors in human evolution on the one hand and Homo Sapiens (humans) whose descendants thousands of years later formed societies. In this regard we also need to distinguish between archaeological science and what is called social history, even although one informs the other to some degree. Julian Leshilo-Sebake and others report that anatomically modern humans evolved from archaic or pre-modern humans around 350 000 years ago, according to the most advanced work by those in the paleo-sciences. This is up to 150 000 years later than most believed until recently. Leshilo-Sebake7 goes on to explain that paleo-scientists working at the interface of archaeology and genetics also now demonstrate that modern humans are likely to have emerged at more than one site in Africa, and these are the ancestors of all the people in the world. Leshilo-Sebake explains that the work of Dr Carina Schlebusch and Dr Helena Malmström at Stellenbosch University, Prof Mattias Jakobsson from Uppsala University in Sweden and of Marlize Lombard from the University of Johannesburg is cutting edge exploratory work that helps us to fine-tune our understanding of the distant past. There is a tendency among the uninformed championing ethno-nationalist ideologies based on notions of “FIRST” that misinterpret the findings at the Blombos Cave and other archaeological sites for narrow political purposes. The artefacts and the other markers found at Blombos Cave has to be divided into Archaic Homo findings, early Homo Sapiens findings and findings related to the more recent past in the past 2000 years and then the even more modern past of the 1700s AD. One cannot conflate these and project all of the Homo Genus findings on the much less ancient social formations of what academic research calls the San, and certainly one cannot be projected as proof of the relatively modern Khoi (or Khoena) herders abode at such sites. Henshilwood and van Niekerk give us a glimpse of the complexities of human evolution in terms of the origins of human behaviour and timelines using the Blombos findings. In a technical overview McCreery illustrates how the Blombos findings are reshaping archaeological understanding of the origins of modern human behaviour and the capabilities of pre Homo Sapiens and the African middle Stone age in particular it does not radically change the basic of archaeological science, but certainly poses many questions about the evolution of human behaviour and consensus around this among archaeologists. It is therefore useful for a brief and simple summary of the long path towards the emergence of Homo Sapiens. Homo or Human is the genus that encompasses different progressions towards modern humans or Homo Sapiens. Several extinct species are closely related and ancestral to modern humans but are not Homo Sapiens – the most notable being Homo Erectus. The human genus emerged with the appearance of Homo Habilis, just more than two million years ago. This clearly is not modern humans, let alone the San, as some lacking understanding of archaeology attempt to project. Homo Erectus, not modern human beings, appeared about two million years ago and, in several early migrations, it spread throughout Africa (Homo Ergaster) and Eurasia. The theories about the origins of Homo Genus and the evolution that follows is a constantly shifting ground as new discoveries are made, but that shifting ground still follows a framework though certainly providing ever new perspectives as explained by Anton SC and Snodgrass JJ. A simple overview of the evolutionary path to Homo Sapiens and from Homo Sapiens moving forward to the present is provided by Tattersall in Encyclopaedia Brittanica. None of these stages of human development can be labelled as neither the San nor the Khoi and no people today can argue that their forebears have been here for millions of years, nor hundreds of thousands of years. The Homo Erectus was likely the first Archaic Human species to live in a hunter-gatherer society and to control fire. They were not San people but a pre Homo Sapien life form. An adaptive and successful species, Homo Erectus persisted for more than a million years. About 500 000 years ago Homo Erectus gradually diverged into new species, most notably Homo Heidelbergensis. It is from this species that both Homo Sapiens and Homo Neanderthalensis are considered to have derived, but it is important to note that Homo Heidelbergensis and Homo Neanderthalensis were not the same as modern humans or their descendants, the San. Homo Sapiens which are also referred to as anatomically modern humans first appear around 350 000 years ago and it is generally agreed that this occurred in Eastern Africa while Homo Neanderthalensis emerged at around the same time in Europe and Western Asia. Early Homo sapiens, the “First People” were also not those that anthropologists called the San, but the San societies are the only existing people that can be shown to directly evolve from those earliest hunter-gatherer people, notwithstanding that all of humanity evolved from the same root. Before the San societies there were hundreds of early social formations which have not survived the course of time. It is generally argued by archaeologists that around 130 000 years ago (possibly longer) that Homo Sapiens dispersed from Africa in several waves. Those who dispersed southwards were said to have done so in a gradual drift starting 90 000 to 70 000 years ago. Both in Africa and Eurasia, Homo Sapiens met with and interbred with Archaic Humans (Non Homo Sapiens). The later only died out around 40 000 years ago, with some exceptions being those hybrid species dying out as late as 12,000 years ago. Only now are we getting closer to the emergence across Tanzania, Zambia, Angola, Zimbabwe, Namibia, Mozambique, South Africa, Swaziland and Lesotho, of those anthropologists refer to by the word “San”. It is unfortunate that the uninformed will read a newspaper article about diggings at Mossel Bay and Blombos Caves and elsewhere, where amazing archaeological finds have been made and then erroneously think that all of the findings relating to the Homo genus are Homo Sapiens. They then jump thousands of years ahead and incorrectly suggest that these findings are of San or the Khoi. The latest discoveries significantly challenge us to view the past with new eyes. Their focus has been on Southern African DNA denoting the broad San genetic ancestry before contact with the other Khoena lineages with their East African and Nilotic lines and also before their contact with any West African, Great Lakes or East African lineage. Previous studies have incorrectly lumped Khoena (Khoi) and San together as so-called KhoiSan, and this has also blurred our vision of the past. It is important to note that the erroneous notion of ‘KHOISAN’ was the creation in 1928 of a German explorer and anthropologist Leonhard Schulze. He used the term to refer to both the Khoena herders and the San hunter-gatherers. Another South African anthropologist and linguist, Isaac Schapera, then erroneously used the term in 1930 to argue that the Khoena and all San peoples spoke the same family of languages, and then used the term Khoisan as though this was a ‘race’ with similar physical characteristics and languages. It is important to note that this was a period where Europeans were obsessed with race theories to such a degree that it resulted in the Nazi phenomenon and the world experienced a horrific world war during which in Germany Jews, Gypsies and black people were experimented on and attempts were made to obliterate “undesirable” people through the holocaust. South African academia was highly influenced by the Nazi era, particularly the white Afrikaner intellectuals, and this in turn influenced the world academic institutions when it came to second hand African social history via the colonial lens. Leshilo-Sebake explains that new discoveries have also allowed scientists to better examine the coming together of peoples of different origins within the African continent and their interaction with each other through time and across the landscape. Interestingly Leshilo-Sebake also shows that the research team has analysed the remains of iron-age individuals in inland KZN who track back in ancestry to West Africa via Angola, from an era when the dominant social history narrative says that their ancestors migrated into KZN simply via Mozambique. All of our deeply embedded notions about how South Africa was peopled, by whom and when, have been challenged and we need to shake off our conditioning through colonial history, which has always suggested that a so-called “alien Black Race” invaded South Africa at the same time as Europeans arrived and that their invasion was checked by the Europeans. There are signs and remains in the vast Southern African region from Angola in the West to Tanzania in the East, showing the existence of Archaic Humans or pre Homo Sapiens, and also sites showing the evolution in time, of those whom we can truly call the “First People”. It is from these “First People”, or the hundreds of separate and diverse micro social communities who share Southern African DNA that the oldest modern human inhabitants of Southern Africa emerged. The early humans of this region evolved through the stone-age processes into early and late iron-age peoples and into social formations and civilisations. It is about 30 000 to 40 000 years ago that the roots of the San social identity, or social communities as we know them, emerged from “First People”. In DNA terms however this San signature emerged about 50 000 years before but at that time there were many more micro communities who no longer existed 2000 years ago, and the many communities of 2000 years ago today are only around 26 communities today scattered over 7 countries and are less than 10 000 in total number of surviving people. The broad San or more correctly Southern African DNA can also today be found among other DNA markers among different Khoi or Khoena groups as well as among many other African tribes to greater or lesser degree. The process of emergence described, is an ever changing trajectory, which sped up around 2100 years ago (100 BCE), as others, descended from peoples in East Africa, in slow evolving migratory drifts, engaged with these mid-southern San people. Those entering the terrain south of the Limpopo and Shashe rivers came down the western passage of Angola, from the central passage of the Great Lakes region, and also from East African migratory drifts. East African descendants with Nilotic and Middle-Eastern genetic connections were the first to reach the area of northern Botswana 2 100 years ago, meeting and engaging with the local San population known as the Tshua. It is however also possible that they first encountered San hunter-gatherers in the Zambezi basin further north. Again, when one refers to “encounters” this does not mean one dramatic event at a moment in time. Behar, Soodyall and the Genographic Consortium tell us that in DNA terms the forebears of those we refer to as the San established the Southern African matrilineal DNA, dispersed among many communities, most of which died out over time. This Southern African (San) DNA had diverged from the rest of the human mtDNA pool around 90,000 years ago. Parallel to this there were also at least five other matrilineal lineages arising out of early Homo Sapiens. The Genographic Consortium has also established that a minimum of 40 other evolutionarily successful lineages flourished in sub-Saharan Africa as well during the period of modern human dispersal 60,000 –80,000 years ago. The distinct social groups of people collectively referred to as the San are but the remnants of those diverse “First People”. Traces of San lineage were also shared by other sub-Saharan peoples. The Genographic Consortium says that only much later, at the beginning of the Late Stone Age about 40,000 years ago, did introgression of additional lineages occur into the mtDNA pool of San forebears. These processes were further accelerated when other sub-Saharan East African, with Nilotic DNA entered the mix during different engagements with agropastoralists, who had drifted down to the periphery of the Kalahari, the Shashe river and in Limpopo river areas from around 2 000 years ago. Further exploration of this has been carried out by others, such as Möhlig and Fleisch and by Morris. We must go back in time to between 40 000 BC and 2 200 BCE, when the numerous different San groups emerged, became segmented and even differentiated to a degree from older Homo Sapiens or first humans and began to make their mark as many diverse social formations and cultures across Southern Africa. It is only these people whom we can accurately refer to as “First People” and many more groups died out than those that remained. Le Roux and White identify the survivors in the Eastern and Western Cape as the !Ga !ne and the │Xam-ka- !Eis (also referred to as the │Xam) and the │Xegwi San in KZN. The Khoena are not these “First People” and would only be found in the Eastern Cape around 650 CE at first in small numbers and in the Western Cape only after 1000 CE, and by that time they had a variety of DNA markers. Way back, about 90 000 years or more, there were six branches of the ‘First people’ who fanned out from East Africa to populate the world. Linguistically connected Ju (San) people mainly living in Nambia and Angola are the!Kung, Ju|’hoansi, !Xun and others. The !Kwi-Taa (San) speaking family of South Africa and Southern Botswana is almost extinct today and would have included the !Kwi speakers, notably the |Xam, !Ga !ne, N|u (including ‡Khomani and ║Ng), ║Xegwi, ‡Unkue, ║Kxau, ║Ku║e and Seroa-!Khuai,as well as Taa speakers such as the !Xóõ, of Botswana. There were also other bridging languages. South African Khoe culture today in linguistic terms is actually Nama and KhoeKhoegowab and not the old San languages nor the Khoe languages which relate back to the northern Tshua. Because of terms like San and Khoena the social histories using the names of real communities with diverse identities are not there for us to get a better picture of the past and so people begin to act out their own bizarre invented ideas of the past based on the crude notes of Dutch colonials. The term San is much abused and hijacked by some for spurious contemporary claims. Le Roux and White show that surviving San groups today who are the only people who can really claim the status of “First People”, are spread in tiny communities through Angola, Zambia, Zimbabwe, Botswana and Namibia, with some of those relocated to South Africa as a result of war. In South Africa, the remnants of the once large San groups of the Kai !Gariep are reduced to the !Xun and the Khwe, and in the North East of Mpumalanga, Swaziland and KZN, the ║Xegwi also survive but largely under other assumed identities such as Zulu. The other numerically small San communities are to be found in the region bordering Namibia and Botswana – the Nju and ǂKhomani. Some San communities in South Africa are from Southern Namibia and Angola, as a result of the South African military occupations of Namibia and Angola. The total San population in South Africa today is no larger than 7500 people of whom only 1500 are indigenous to what we call South Africa today. The San of the Southeastern, Southwestern and Central Cape do not exist as extant groups anymore as a result of genocide carried out by the Europeans (Boers and British), the Cape Khoena (or Khoi), the Nama, Oorlam, Griqua and Korana over a long period. Adhikari and Penn elaborate on the greatest mass extermination of the │Xam- !Eis , which occurred at the hands of the General Commando made up of Europeans (aka Christians) and at different times 40% to 60% of pacified Cape Khoena (also referred to as Bastards & Hottentots). Stow as long ago as 1964 elaborated on the San displacement by the Khoena (or Khoi) and the early Bantu. The first displacement of the !Ga !ne and the │Xam-ka !Eis would have begun when from around 600 AD the Khoena (Khoi) herders and ║Kosa (early farmers) who had migrated into the Eastern Cape and, the Khoena who had migrated into the Western Cape just after 1000 AD, through their pastoral and agro-pastoral activity clashed with the San “Original People” and either incorporated them or displaced them to the Central Cape Karoo lands away from their original coastal territories. Academics in the field bemoan the fact that not enough research has taken place around the Khoena (or Khoi) and the early ║Kosa iron using farmers who had migrated into the Eastern and Western Cape, largely due to the erroneous coupling of Khoena migrant herders and long established San on the one hand, and the propaganda paradigm of an alleged 16th century “black” invasion. But we are able to reasonably date the first habitat of Khoena (or Khoi) and ║Kosa in the Eastern and Western Cape through the work of Binneman, Webley and Victor; as well as Steel. The opening chapters of Peires history of the Xhosa have also long indicated that the early ║Kosa predates later Nguni migratory drifts. There is simply not much else that we know about these people but hopefully as archaeologists find more sites we will learn more. Ancestral genetic links of San people from antiquity cross the boundaries of the many different African communities in Southern Africa today to a greater or lesser extent. These ancestral familial connections with the San render spurious the notion of “Race or Group Purity” introduced by European colonial discourse that has done us all a great disservice. In South Africa, born out of the events that started around 2,100 years ago, the world of the Southern African San communities was first engaged by slow migratory drifts of Africans descending from the East Africa arena and from Angola. Bousman and Britt show that the epicentre of the first change was the northern periphery of the Kalahari in Botswana and the southern areas of Zimbabwe, when herder descendants of East African peoples, with Nilotic and Middle-Eastern ancestry, entered the area and introduced sheep and herding to the Tshua people of that region (the San of Botswana and Zimbabwe). Geneticist Schelbusch builds on this case by tracking lactose persistence alleles to make further revelations on the ancestry of Southern African Khoena pastoralists. Smith and many other researchers further elaborate on the emergence of the Khoena and all of this clarifies that the Cape Khoena (or Khoi) are not regionally indigenous to the Cape nor are they the “First People” of the region. The Khoena (or Khoi) are but one of many Southern African indigenous African peoples. It is this emergence of the Khoena as the first of a number of new societies that is not fully appreciated as being part of a chain of emergent societies that are at the root of the “Peopling of South Africa”. If one refers to the tiny number of surviving San groups across a number of countries in Southern Africa as “First People”, the Khoena and the Kalanga could be referred to as “Foundation People”. Use of the European political term “nation” as in “First Nations” is wholly inappropriate and has no authenticity. It is used simply to promote ethno-nationalism of the Verwoerdian type. The Khoena as one of the indigenous African peoples have to be recognised as contributing something unique to the “peopling” and this is why one saysthey are a “foundation” people who appear in the ancestry of all other peoples of Southern Africa. This diversity is something that can be shown by genetic science as demonstrated by Schelbusch. The earliest embrace of pastoralism by hunter-gatherers occurred in East Africa among the Hadza and Sandawe people as a result of migratory drifts of sheep-keeping people of Nilotic origin (from the Nile Basin) who had acquired their sheep in North Africa and the Middle East. Through the work of Karim Sadr and many others we can observe that Southern Africa hunter-gatherers may have first embraced sheep herding as far north as the Zambezi Basin, but small groups of East African herders also came into South-Western Zimbabwe, Northern Botswana and the confluence region of the Shashe-Limpopo Basin region around 200 BC and within a hundred years had impacted on some of the Tshua San, giving birth to a new local herder people. Here in this region first contact was made with local hunter-gatherer Tshua and the people we can call proto-Khoena emerged from this interaction. The Tshwa or Tshua San of this region have been identified by geneticists, linguists and archaeologists as those San people of first contact other than the San further north around the Zambezi. This scenario is not disputed, but no evidence exists that Khoena (Khoi) herders, as they were constituted at the time of European arrival, were present as far as the Cape 2000 years ago. The mistake can also be made to imagine that the Khoena were a heterogeneous organised entity from their first emergence around 100BC. The reality is that this hunter culture was continuously evolving as it spread across different regions and it was highly influenced every step of the way by other cultures, particularly those of the agro-pastoralists around them. The likelihood is that the southernmost Khoena evolved to a large extent to become the southern Khoena as we know them, while they were in the Eastern Cape. From there they further evolved much later in their different manifestations down to the Western Cape. The history and evolution of the Xhosa show very clearly that Xhosa and Khoena were evolving culturally and structurally at the same time. The people that were called Khoi or Khoena in the Western Cape were a relatively recently evolved people with proto infrastructure still in early segmentation stages – clans, rather than tribes, and certainly not kingdoms. “The difficulty of detecting the archaeology of the Khoekhoe migration may have something to do with our essentialist theoretical stance as well, whereby we imagine the first pastoralists to have been similar to the seventeenth century Cape Khoekhoen. But if cultures and identities are social constructs, they can form and dissolve rapidly. From this perspective, the seventeenth century Cape Khoekhoe culture (for example as described by Kolbe in 1719) perhaps only took on its final form in the second millennium AD and may have been restricted to the coastal areas on the western side of southern Africa. It certainly dissolved soon after contact with Europeans (Elphick 1985). That the culture was preserved in European writing, art and cartography—caught in the ‘literary lattice,’ as Anthony Humphreys (1998) puts it—may have imparted the false impression of an identity more stable and solid than it really was, and this in turn may have diverted us into thinking that it could be traced back wholesale into the first millennium AD. Archaeology can trace the origins of some of the cultural traits that constituted the seventeenth century Khoekhoe package: the pots, the livestock, the production strategies, and the art if not the language. These traits originated at different times and in different places and perhaps did not coalesce into the classic Cape Khoekhoe culture until the second millennium AD. The earliest coming together of the Tshua (San) hunters and herder people of East African/Nilotic ancestry gave birth to the Khoena (or Khoi) people who engaged in the herding of sheep and cattle. This is likely to have first occurred already in the territory we today call Zimbabwe because herders were all over that territory before connecting with the Tshua beyond the Sashe-Limpopo basin and would have engaged with Zambezi San as well as with the Tshua San around the Sashe River. The natural flow for the herders would have been to cross into what we call Botswana today and across the Limpopo into what we call South Africa. This herder drift had earlier San contact back in East Africa with the Sandawe and Hadza as well as the contact with the Tshua. There is no magic moment that tightly defines the Khoena emergence and indeed, other than being a herder people they would have displayed none of the cultures associated with them by the 17th Century. That they emerged as a result of migration is the only clear factor. While we talk of the birth of the Khoena we must be cautious because this was clearly a slow process linked to the migratory drifts of many influences, with Zimbabwe being the crossroads. It was not an instantaneous emergence of a new creation. Perhaps a better description is that a proto-Khoena people came into being, because various academic disciplines identify a phased emergence of the Khoena. They distinguish three phases from what they call the modern Khoena (Khoi or KhoenKhoen), who were a much later evolution of Khoena (or Khoi) society in the second millennium. The term “casual-herders” rather than full blown “pastoralists” also may be more appropriate. The three proto-Khoena phases are identified by Eastwood and Smith as those proto-Khoena (or Khoi) who moved westward, southward and along the Limpopo. Eastwood and Smith, and Smith and Ouzman note 953 archaeological sites along the Limpopo at many of which rock-paintings which can be distinguished from those of San hunter-gatherers have been identified and they have concluded these to be those of Khoena (or Khoi) herders. They date this spread of Limpopo Khoena herders from 100 AD and locate their spread through to Mpumalanga and southern Mozambique. At this time there were no Khoena in the Eastern or Western Cape. That lineage was spread during a more modern occurrence and not sharply separate from the earliest Bantu presence in the Eastern Cape. The cultures associated with the 17th century Khoena (or Khoi) of the Western Cape would also not have been prevalent at this time. The Khoena of the Cape Peninsula have linkages that go back to both a West Coast migratory drift and an East Coast migratory drift. In recent years some Revivalist Khoi have been making claims of being “First People” or “First Nation” and being “indigenous to the Cape”. This is simply not true on both counts and is more rooted in whipped up ethnic antagonisms that were cultivated during Apartheid times. The Khoena are indigenous Africans as much are all tribes in South Africa but not locally indigenous to the Cape, where there was an indigene people – the /Xam before the arrival of any other people . The Khoena (or Khoi) first emerged in Northern Botswana and Southern Zimbabwe, if not as far north as the Zambezi basin, and migrated all over Southern Africa and not just to the Cape. It was a slow drift which eventually saw just one element of this ancestral line, mixed with the lineages of agro-pastoralists, enter the Western Cape a thousand years after the first proto-herders emerged. What is true is that the original Khoena herders were a “foundation people” born of the coming together of various migration drifts converging at the Shashe-Limpopo basin. The most simplest and clearest description of what happened is simply to say that hunters, herder-hunters, herders, herder-farmers and farmers came together in this arena and set a chain of development that would go forward to “People South Africa”. The Tshua San lived on the periphery of the Kalahari through to the Shashe river area in Zimbabwe and their markers are also found all along the Limpopo River regions. While all of the Inter-connected academic sciences tell us that too little attention has been given to studying the Tshua San hunter-gathers and the proto-Khoena herders along the Limpopo and across to KZN, there is no doubt about their presence alongside the early sub-Saharan farmers who trickled into the area from between 200 – 350 CE. It is these farmers that are narrowly labelled as “Bantu” but who were peoples of much verifiable diversity that evolved from around 1500 BC largely in the territory we today call Zimbabwe. From around 100 CE, Bronwen van Doornum shows the intensification of hunter-gatherer occupation in the Limpopo region in which their cousins, the East African herders and descended farmers, were beginning to take root, as evidenced by the steep increase in artefact densities at several sites. Hall and Smith elaborate on the changing relations between different eras of farmers, herders and the hunter-gathers in the region and how the hunter-gathers found a means to carve out a niche place for themselves, particularly among the farmer elite as that population grew and stratification increased. The form of the niche-positioning by the San hunter-gatherers emerges as that of providing spiritual guidance, invoking the power of the spiritual realm and rainmaking. They were revered and evidence suggests they may have had royal status among the multi-ethnic people of the Mapungubwe kingdom. Now this is a very different narrative from other narratives in different regions of South Africa, which claim displacement of hunter-gatherers by pastoralist Khoena (or Khoi) and Xhosa and Zulu for instance. But even in Zulu and Xhosa societies a narrative emerges of a degree of incorporation of the San hunter-gatherers as spiritual guides and mediums. What also emerges in some areas is that San women were sought after as wives, particularly in the upper echelons of chiefs as stratification took root. By 100 CE Khoena pastoralists would have been found along the fertile Limpopo which offered the pastoralists water and feed for their animals. In making such statements one must be careful not to suggest that there was a tribe or tribes called Khoena. We are referring to the herder forebears of those we call Khoena in the Western Cape, who effectively are an early modern social construct. Between 100 and 350 CE the migratory drift into the area grew, first with newcomers of West African ancestry arriving from Angola, whom scholars labelled as KALUNDU culture (after a pottery style) and then others from East Africa labelled by scholars as KWALE (another pottery style). The further mixing of San, Khoena, Kwale and Kalundu in this area produced a local society that scholars refer to as the Ziwa culture, who were agro-pastoralists. In the course of time segmentation and conflicts occurred and through the impact of this, as well as periods of mini ice-ages and droughts, many pastoralist Khoena as well as other early Ziwa and then the more advanced Zizho moved out of the area further along the Limpopo to Mpumalanga and KZN and also to Botswana and northward into Zimbabwe. They also moved Southwards through today’s North West province and Free State down to the Kai !Gariep river territory. Khoena culture herders moved along the same trajectories and further south. One Khoena culture group moved through Namibia into today’s Northern Cape and from these people emerged the Namaqua. Along the way they interacted with other migrating groups and both they and the Namaqua impacted on the San indigene people of South Africa, first along the Kai !Gariep and then on their trajectory to the Eastern Cape and all the way down to the Western Cape over time. While the whole field of the Khoena (or Khoi) culture has been under-studied for too long, much more research is now taking place, which does not focus entirely on the Western Cape but takes a more in-depth look at how the Khoena (or Khoi) culture impacted across South Africa. “have suggested that Bantu-speaking groups in southern Africa who have L0d and L0k mtDNA lineages most likely acquired them as a result of recent gene flow from San and Khoe. This suggests that today’s Sotho populations on the Highveld may be descendants, in one sense or another, of a fusion between Bantu and Khoe-San cultures of a thousand or more years ago…..Preliminary indications are that Soodyall’s work will be corroborated to show considerable genetic mixing between autochthonous ‘Khoisan’ and southeast Bantu speakers such as the Tswana and the Sotho”. Eastwood, Blundell,& Smith through the study of herder art furnish us with much evidence of the spread of Khoena herder culture all along the Limpopo from Botswana to Mpumalanga and on the Zimbabwe side of the river too. These Khoena herders we are told had a huge impact on language and culture and their interactions resulted in shared ancestral genes. They were also part of the emergent advanced societies which left markers to show that they smelted gold, copper and glass and crafted these into fine-art objects. This society traded with other parts of Africa as far as Egypt, and with the Arab world, India, Southeast Asia and China. The Shashe-Limpopo Basin and the complex Mapangubwe Society (900 – 1300 CE) of 5000 people were the epicentre of a civilisation covering this vast area of Southern Africa. There is much still to be ascertained about the role of both Tshua hunter-gathers and the Khoena herders in those societies, but we do know that they were there in the heart of all the societies leading up to the Mapangubwe civilisation. Older settlements which were probably the foundation settlements of this society were Schroda (8th century) and Bambadyanalo (9th century). Although Great Zimbabwe had a settlement going back to the 3rd century (also showing Khoena herders as participant), as a stone-walled settlement it dates after the Mapangubwe Kingdom. Further along there was Thulamela which also came later and lasted longer into the 18th century. But these sites are just a few of more than 200 stone settlements in the vast area stretching from South Africa up to western Mozambique. Badenhorst and others tell us that by 200 CE, descendants of farmers in the slow migratory drift through the southern African region over the previous thousand years reached southernmost point of South Africa. The full studies of these archaeologists are a fascinating eye-opener and I do recommend that people read these papers to really get to understand the process of the “peopling of South Africa” and the roots of identities from Khoena to Zulu, et al. We are told that in that early period of 200 to 350 CE the numbers of farmers and herders were very small and their abodes and structures rudimentary. This is a vastly different picture to that of swarms of columns on a large invading march on South Africa, as many erroneously imagine. They were early iron-age people whose descendants progressed over the next four hundred years to the point of becoming more complex societies opening up trade with other parts of the world as we are shown by glass beads and other items found at sites. Then in another 250 years they were moving on to become an advanced trading society, which was multi-cultural, and smelted metals and fashioned gold. Archaeologists such as Thomas Huffman (see map) and others identify migratory drifts that occurred in the broad Southern African region and introduce us to the different cultural labels of these streams. They are the UREWE culture which has two branches, the KWALE stream (East African ancestral tradition), the NKOPE stream (Great Lakes ancestral tradition), and the KALUNDU stream (West African ancestral tradition – Angola via Zambia). In many ways we get a much more balanced view of group formations that came about in South Africa by looking at the background to the peopling of South Africa through the lenses of these cultural streams of influence on centuries of generations, than by adhering to paradigm of the old Bantu/Nguni march on South Africa. The people who finally crossed into what we call South Africa today, were not the people who first started drifting out of East and West Africa. They are descendants many generations later and just happened to live on the other side of the Limpopo by the time the first movements into South Africa occurred. Some also, after entering South Africa and mixing with Khoena and San over generations, returned back into Zimbabwe and up to Malawi and back again in another newer generation. And so the DNA gene pool spread far and wide and became diverse. Hall also argues for and emphasises this different way of viewing our past in saying that the spread of a farming lifestyle to South Africa during the Early Iron Age occurred gradually and may not necessarily be attributable to any large-scale migration of Bantu-speaking people into Southern Africa. He further argues that these migratory drifts are unlikely to have seen an importation into the region of the full iron-age culture, but rather that this developed locally over time with incremental transfers of culture and technology. The more I look at all the information available, the more I find that I concur with Martin Hall. All of this suggests slow natural migratory drifts and dismisses “sudden invasion” by an advanced Bantu culture. The three cultural traditions Kalundi, Kwale and Nkope influenced the emergence of new social identities in South Africa, Zimbabwe, Mozambique and Botswana. Totally new social formations in the form of tribes and kingdoms emerged as South African indigenous peoples. As we have already seen, the very first of these influences affecting South Africa was around 2 100 years ago when people with East African and Nilotic roots drifted into the northern areas of Botswana with livestock and mixed with the Tshua San. From this, the first of the new identities emerged as the KHOENA (or Khoi) herding people. The Khoena herders over the next 300 years moved into the Shashe-Limpopo Basin around the confluence of the two rivers and beyond, along the Limpopo. From between 200 and 350 CE there are likely to have been further minor migratory drifts of the descendants of the Kwale-Nkope slow migratory streams, which would have resulted in small numbers of agro-pastoralist farmers moving into the fertile Shashe–Limpopo Basin to settle alongside the Khoena herders and Tshua San hunter-gatherers. But from 350 CE Huffman shows us through pottery styles found at sites, among other things, that a progression of evolving societies can be identified from 350 – 400 CE (Happy Rest pottery) through five other styles to 1500 – 1650 CE (Khami pottery). In showing this, his work by implication also shows that there was an absolutely intertwined cousin connection between all Zimbabwean people and South African people long before the Mfecane. Huffman, Calabrese, Hall, Smith and a host of other academics have produced huge amounts of micro archaeological research with valuable and amazing fine-print about the entire sweep of social cultures in South Africa, west to east, as well as in Botswana, Zimbabwe and Mozambique. These academic investigations reveal that there is a very strong case for referring to ourselves as Southern Africans rather than South Africans. There is no shortage of information and much fine debate and discourse about the emergence of what can be called the “Peopling of South Africa and the establishment of South African societies.” Alongside this there are anthropological, sociological, linguistic, art-science (paleo-art), genetic, and traditional oral history disciplines which all add depth to the picture of societal formation in South Africa. But most of this academic work is not simplified, accessible to or known by the broader South African community. Thus the core and dominant historical narrative remains that of the Apartheid and colonial era. Hence we find people trying desperately to define themselves in the present using the tools of a propaganda and racist past framework. Gillomee and Mbenga also show us that the Kwale-Nkope farmer culture was settled along the eastern parts of the Limpopo by 280 CE and through to KZN by 400 CE. Also they show that from around 550 CE the Kalundu farmer culture had settled across the western regions from the Shashe-Limpopo area downwards towards the Kai !Gariep River region. By 700 CE evidence of both Kwale and Kalundu farmer cultures as far south as East London has been found. It is clear that well within the first Millennium much of South Africa was populated by societies evolved from the societies which first evolved on both sides of the Limpopo, and not just the Khoena. Gilliomee and Mbenga also highlight the cultural symbols that were left by these proto South African societies, such as the Lydenburg Heads in Mpumalanga dated 800 CE. The Ndondondwane ceramic head found in the Tugela Valley also dates around 800 CE and the ceramic representations of young women from the Mpofuma valley in KZN are from about 700 CE. Gilliomee and Mbenga further show that at the Schroda site in the Limpopo valley in 900 AD, thousands of fragments of these fertility dolls were found along with an array of other creations during the Zhizo period. This of course is just the run up to the formation of the advanced South African Kingdom of Mapangubwe in the13th century. This paper does not venture into the micro elements of any of the academic disciplines as our focus is to show how from the very beginnings of the emergent South African societies there have been strong ties that bind us all. From early very simple non-segmented or stratified societies, new multiple complex social formations would later emerge – the Kalanga, Singo, Shona, Birwa, Machete, Tswamamba, Leshiba, Lembe, Tshivula, Venda, Vhangona and Sotho-Tswana all emerged from much movement in and around a large area with Mapangubwe as its epicentre. What this paper also sets out to do is to encourage people to read outside of the box of the politicised and skewed narratives of our past. It is also good to keep emphasising the theme that there were no sudden invasions of South Africa by “aliens” as some propagate. These were slow migratory drifts of people over long periods of time, spanning at least a thousand years. By the time various peoples crossed to and fro over the Limpopo, (which would only be the Union of South Africa boundary as late as 1910), these people were already Southern African peoples. Prior to integrating with the Tshua San of Northern Botswana some of the ever-moving people had already mixed with the Zambezi Basin San, and eastwards in Tanzania with the Hadza and Sandawe who were San groups of that region. So a degree of admixture occurred over sometime between people with San cultures and people of sub-Saharan cultures – Kwale, Nkope and Kalundu – and mixing would continue from the date of the emergence of the Khoena around 100 CE, right up to present. Fleminger, Huffman, Calabrese and others elaborate on various epochs, starting with the first San mixing with people of East African roots resulting in the emergence of traces of the earliest new society that would make its way into South Africa and engage with all the subsequent local societies to emerge alongside them. These were the KHOENA (or Khoi) around 100 CE, and between 200– 350 CE, San, Khoena and a trickle of agro-pastoralist farmers from what is now Zimbabwe, of East African origins, mingled in the Shashe-Limpopo Basin. Then came the development of societies with Ziwa and Zhizo cultures, through to the Mapungubwe kingdom. In the Limpopo valley from around 350– 450 CE archaeologists record an increase in the number of farmers with West African Kalundu cultures from Zimbabwe where the GOKOMERE – ZIWA CULTURE emerged and linked into Mapungubwe sites. Then the archaeologists show us that a stronger Kalundu presence appeared in a farming society between 550 – 600 CE where archaeologists talk of the HAPPY REST culture also linked to the Mapungubwe sites. Over the next period there was a lull in further movements in that vicinity until 900 CE when archaeologists identified another more advanced rank-based K2 (Bambandyanalo culture) society with GUMANYE culture which developed at the quicker pace associated with what is known as the ZHIZO culture agro-pastoralist society. The Zhizo society at the K2 site saw further advancement at the Schroda and Leokwe sites between 900 and 1220 CE and by this time the Mapungubwe Kingdom was flourishing, which it did until 1300 when, due to climatic changes, the epicentre for further advancement shifted to Great Zimbabwe and later to Thulamela. It’s a fascinating story with much detail to absorb. But there are interesting things to note if we want to demolish the myth of a simplistic north-to-south invasive wave. These periods show not just the settlements around Mapangubwe but also the movement of people backwards and forwards between what is now Zimbabwe, Botswana, South Africa and Mozambique with plenty of evidence of trade linkages through the Mozambique ports of Kilwa and Sofala. The depth of the multi-ethnic society is illustrated by the fact that the remains of three figures said to be royals and buried on the hilltop occupied by the upper class of Mapungubwe society, were shown through testing to have had Southern African (or San and Khoena) DNA. Interestingly however, they were buried in the position that is associated with the culture that evolved from the Urewe-Kalundu tradition, by this time referred to as the Kalanga tradition. This evidence refutes the notion that there was only one type of relationship between cultures – that of so-called Bantu aggressors and San victims, as often put forward. A more complex situation prevailed where inter-ethnic relations ranged from conflictual to cooperative in different places in South Africa. What anthropologists and archaeologists show us, from rock and cave paintings, to pottery pieces and other findings, such as fashioned metals including gold, and glass beads, co-relates with what geneticists have shown us both with human movements and interactions and with animal migration, namely that during this long period from 350 – 1300 CE, complex populations existed. These had integrated tributaries of San, Khoena (or Khoi), Kwale, Nkope, Kalundu and Bambata culture lineages which had in turn resulted in Ziwa, Happy Rest, early Zhizo, K2- Gumanye cultures, and later Zhizo and Kalanga cultures that were settled for substantial periods in and around the Shashe-Limpopo basin and Mapungubwe, and beyond to Botswana, the Soutspansberg and much further afield. This same complexity which we still need to explore and learn a lot more about also existed in the long pre-history and history of the Zimbabwe ruins which share a relationship with Mapungubwe. Furthermore from around 1350 – 1600 CE the Thulamela ruins further along the Limpopo show us a progression of this civilisation. In fact over 200 of these types of ruins running through Zimbabwe to Mozambique show us just how extensive this civilisation was, spanning hundreds of years; at the time Europeans said there was no civilisation in Africa. It is from around 1100 that the age of the creation of kingdoms begins across southern Africa. These include the mighty Munhumutapa kingdom and the Rozvi kingdom which dominated trade with the world beyond Africa through its ports along the Mozambique coast. In recognising this early history of South African societies, we have to question every aspect of our later history which emphasises differentiation and tribal clashes and the formation of new identities. In other words by the time the Khoena settled in the Western Cape, they were no more the Khoena of the Limpopo or northern Kalahari; they were a new set of evolved entities as were all other locally evolved groups. The people with an array of sub-Saharan cultures way back in time were also not the new locally evolved identities that emerged hundreds of years later in different parts of South Africa. This is a non-thinking mind-set that we have to overcome in the arena of the politicisation of identity. Ideas of identity have been passed on through a colonial lens and through narrow ethno-nationalist lenses of different “types” in South Africa, so we are challenged to look at everything afresh. Thus far our paradigm of thinking makes exclusive use of only some of the academic terms used in the archaeology, anthropology, linguistics and sociology streams that have jumped into our history books – namely San, Khoi and Bantu (SKB). In taking a new look at our pre-colonial past we discover that the SKB paradigm is inappropriate. We need to ask why our population is so ignorant of all the other influencing streams, and what we are going to do to change this ignorance. Outside of South Africa in other African countries children have long been learning about this past, but in South Africa our children are still denied this information. These other equally important terms and the proto-societies that are so labelled with academic titles are neither used by us nor understood by us – Urewe, Kwale, Kalundu and Nkope cultures on the one hand, and on the other, a further enriched set of cultures – Bambata, Ziwa, Happy Rest, early Zhizo K2- Gumanye, and later Zhizo and Kalanga cultures. Yet all of these together impacted the “Peopling of South Africa” and besides this being the real story of indigenous South African societies rather than the “Black Invasion” located in the 15th to 17th centuries, it is a much more coherent and interesting explanation of our roots and the “Ties that Bind Us”. No Great Wall of China separates San and Khoena cultural roots from Zhizo, Kalanga, Bokoni, Rozvi and other cultural roots which had multi-cultural and multi-ethnic characteristics. The fact of the matter is that this coming together also altered the cultures of the San and Khoena as well as their DNA. It was here along the Limpopo that the first stratification occurred and segmentation deepened, and as a result of this, diversification occurred by a process of population growth and multiplication of social formations by division. Tribes and clans were formed that stretch down through Botswana and South Africa to the Free State and Northern Cape, as well as through the North West and Gauteng to Mpumalanga and Kwa-Zulu Natal. Indeed they flow right through to the Eastern Cape and Western Cape. Calebrese also shows that the influence of the cultures that influenced Mapungubwe and surrounds spread throughout Southern Africa. It is equally important to note that underpinning any successful and advanced state or kingdom is a complex and successful economy. When we look at this advanced society and state we see that they were operating way beyond a subsistence economy. They were mining, controlling wildlife and putting a value on ivory and on gold. They were smelting iron ore and gold and fashioning both utility and artistic objects. They had a trade corridor with the world and were using it to trade for products that they did not possess. Archaeologists have identified products of origin from Southeast Asia, China, Arabia and North Africa. Huffman elaborates on the 9th century Swahili expansion south to southern Tanzania from where ivory was exported to India and indirectly to China. He refers to imported glass beads in several Early Iron Age sites which shows that the trade network had extended to southern Africa by the eighth and ninth centuries. He further sites Al Masudi’s tenth century record, mentioning gold from the land of Sofala. At this time, Huffman says that coastal trading stations were supplying glass beads to the interior and Southeast Asian beads were found at Mapungubwe. He also notes that Gold reefs were concentrated on the Zimbabwe plateau in greenstone belts not found in central or southern Mozambique, making the point that gold from Sofala had to come from the deep interior of Africa. Huffman states that there was a marked increase in international demand for gold particularly from the Far East, which contributed to an upsurge in gold production in the thirteenth and fourteenth centuries. As a result, gold from Zimbabwe helped to support a boom period at Kilwa. The Chinese, Huffman says, also created a great demand for ivory and for leopard skins. He says that these factors resulted in the expansion of the Mapungubwe state northwards to control some of the gold fields in Zimbabwe. In return Chinese celadon green-glazed stoneware made its way to Mapungubwe and Great Zimbabwe. He however further points out the issue of seafaring weather conditions and routing that was slowing down trade with China via Arab traders and their routes, and shows how routes to Southeast Asia facilitated a quicker turnaround in trade. African traders are shown to have navigated the complex network of Indian, Arab, Swahili and Indonesian traders long before the arrival of the Portuguese on the scene. It is the surplus wealth from this trade, and its associated multicultural interactions, that presented new opportunities and challenges to people in the Mapungubwe landscape, and they clearly met those challenges. This was at a time when Europe had flimsy boats, little maritime experience and virtually no trade with much of the world. Not only did people and social formations proliferate from Mapangubwe, Thulamela and Bokoniland but so too did trade linkages from East African ports, with their global reach in trade to the furthest Khoena (or Khoi) communities later to settle in the Cape during the second millennium. Global trade had effectively traversed South Africa long before the European arrivals. These proud old Southern African social roots are by far more important to our modern quest to build a South African nation than much of our subsequent descent into fragmented social entities. Eastward along the Limpopo in the Mpumalanga escarpment from around 1500 CE an amazing advanced agricultural society emerged where according to Peter Delius the BOKONI farmers…. Delius also shows how Bokoni connected to trading systems linking in to the Indian Ocean trade links with North Africa, Arabia, India and Southeast Asia and China just like at Mapangubwe, Great Zimbabwe and Thulamela. A few hundred sites of stone masonry and wood buildings, and terraced crop farming areas stretch from Mapangubwe through to Mpumalanga and through Zimbabwe all the way to the borders of Mozambique. For many years Europeans have tried to explain this away as non-African and some have propagated wild and nonsensical exotic theories of a Dravidian presence or alien presence from outer space. These theories go back to Hitler’s ideas of an Aryan master-race, that was popular in German and Eastern European academia and, attempts have been made to propagate these pseudo-history ideas among the gullible in South Africa. Thorough archaeological, anthropological, sociological and genetic scientific engagement with the region, it has clearly been shown to be indigenous African developments. To the East across the Drakensberg in KZN, archaeological sites show habitation of Early Iron Age people of KWALE and KALUNDU origin from as early as 400 CE and likewise in the Kei River area of the Eastern Cape since 650 CE. This debunks the theories of there simply being an invasion of a people called “NGUNI BLACKS” and suggests a more complex locally developed NGUNI social formation with multiple South African grown roots long pre 1500. This may present an inconvenient truth not only to white South Africa but also to various ethno-nationalist entities from Zulu and Xhosa right through to KhoiSan revivalists. The spread of Khoena (or Khoi) herders along the Limpopo also continued further into Swaziland and along the Drakensburg Mountains and to the KZN coast too. San hunter-gatherer communities also lived in these regions and have left their markers, including markers showing their engagement with the newly developing societies. Those today known as the Zulu Nation are part of a relatively modern social construct of the 1800s. We also use the linguistic/archaeological term Nguni too simplistically and also incorrectly talk of an Nguni people who came down in a wave of single and overwhelming migration from the north and locate this around the 15th and 16th centuries. It is simply not true. Likewise we have the questionable appearance of the term “Nguni” into lineages too. The same migratory drifts that took place all along the Limpopo of peoples moving both forward and backward from today’s Zimbabwe and Mozambique also occurred over many centuries into today’s Mpumalanga, Swaziland and KZN. These movements of people also occurred deeper south of the Limpopo and included other peoples, having their genesis in the Shashe-Limpopo Basin moving from West to East. In all of these movements, interactions with both the San hunter-gatherers and the Khoena pastoralists occurred from the early years of the 1st Millennium. Dutton shows us that the iron-age culture was well embedded as proven by the iron forges found in KZN dating to 630 AD. According to Fowler & Greenfield, and Maggs and Huffman, as well as others such as Coutu, Whitelaw, le Roux and Sealey, archaeological evidence of the Mzonjani culture (100 AD – 400 AD), Msuluzi culture (500 AD -780 AD), Ndondondwane culture (780 AD – 910 AD), Ntshekane culture (800 AD – 1030 AD), prove that early Iron Age people with much older roots going back to Kwale and Nkope East African cultures, and even some evidence of Kalundu West African culture were in KZN long before the supposed wave of external Bantu were supposed to have suddenly arrived in an invasion of South Africa in the 15th – 17th century as colonial historians taught. The Mzonjani culture pushes back the presence of Bantu culture in KZN at least to the beginning of 200 AD. While it is absolutely clear that migratory drifts occurred over time, evidence supports the narrative that says the people referred to as Nguni are actually a South African born people, evolved over around 1000 years locally who much later also migrated out of South Africa north to Malawi and Zambia as the Ngoni. Here again we can recall the position taken by Hall who argued that the spread of a farming lifestyle to South Africa during the Early Iron Age occurred gradually and may not necessarily be attributed to any large-scale migration of Bantu-speaking people into Southern Africa. He further argues that these migratory drifts are unlikely to have seen and importation into the region of the full iron-age culture, but rather that this developed locally over time with incremental transfers of culture and technology. It is important to note that South African Nguni have tributaries of San hunter-gatherers (Abatwa), Khoena herders, Ziwa-Zizho, Bokoni, Kwale, Tembe and Tsonga cultures all of whom, other than the │Xegwi San drifted into the Eastern parts of South Africa over 200 AD – 1000 AD, before migratory impacts picked up around 1100 AD. Rock paintings of both the old “First People” the │Xegwi San of the Drakensberg and of the earliest migrant Khoena (Khoi) herders illustrate both early positive and later negative interactions between these and agro-pastoralist farmers in KZN. Archaeologists such as Peter Mitchel also show evidence of iron-working farmers settled in the KZN coastal belt by 400 AD and Maggs shows that agro-pastoralist culture was well establish in the Msuluzi confluence of the Tukela Valley by 1000 AD. Historian Michael Francis explores the fascinating complexity of the ethnic make-up of those called the Zulu Nation today and gives us a detailed explanation of the strong │Xegwi and Nhlanwini San identity within Zulu identity by unpacking the emergence of AmaZizi and Botwa clans and the Duma family ancestry with San roots among the Zulu. He explains the great fluidity in the roots of the Zulu people and he follows the flow down to the Loti people of the Moloti-Drakensberg Region. We then also see that the Sotho and Tswana people too are a mix of San, Khoena and siNtu speakers and this then closes the circle when connections are drawn between the Fokeng with Khoena and San and also with the communities of KZN. Neil Parsons elaborates that the name Nguni derives from the earlier Tswana/Sotho name Bokoni meaning Easterners. There is no external wave of Nguni people as such, that suddenly come into South Africa. Instead over different timeframes over fifteen centuries we see the emergence of those we call the Nguni (largely really referencing a broad linguistic culture rather than a specific people). We can also see that in the Eastern Cape, while there certainly was a later entrance of Nguni to the region, that there already were iron age agro-pastoral people in the area alongside the Khoena, who descended from the early Kwale and Kalungu traditions, long before the arrival of Hlubi, Mpondo, Mpondomise and Bhaca. Indeed the early Thembus may well have been part of the earlier migrations circa 650 CE. What all of this illustrates is that later emergence in the mid second millennium of tribes, kingdoms and identities is far more complex in South Africa than the story of an invasion by black aliens at the same time as white colonists set foot in South Africa. It also illustrates that all African communities in South Africa are bound by blood ties and cultural ties and that these criss-cross the colonially drawn borders of Southern African countries, involves the bloodlines of the San first peoples and also of the greatest of all of South Africa’s migrants – the Khoena (or Khoi) herders. Events in Zimbabwe and Mozambique saw developments that would have much impact of identity formation south of the Limpopo too. One can also see a strong circular migratory movement in Southern Africa where people drift from south to north and vice versa and from east to west and vice versa. Along the way clans, tribes and kingdoms rose and fell. Part of the identity we call Nguni can be traced to the Torwa dynasty which first arose from the decline of Great Zimbabwe. Parsons shows that the Butwa and Munhumutapa kingdoms emerged from this dynasty and later from these, there emerged the Rozvi confederacy, or kingdom, which extended its power over all of Zimbabwe and was strongly influenced by peoples of the south going back to Mapangubwe and societies that emerged from that era. But in turn, Parsons elaborates that the Rozvi Kingdom also influenced new communities emerging in South Africa. Social communities in the Bokoni region of Mpumalanga such as the Pedi and Tsonga engaged with and shaped the Wutonga and Chopi Shona in Zimbabwe and Mozambique. These cousin connections are very strong and these old states link directly into influencing the birth of Nguni identities in South Africa. So what we see is a movement of people from the south to the northeast of Zimbabwe where the Munhumutapa kingdom was born and not simply a sudden movement of northern people southward. These engagements also produced civil conflicts and the selling of Tsonga and Kosse prisoners of war as slaves, and some of these slaves landed up in Cape Town and the Western Cape as slaves, known as Masbiekers. Mellet shows how the Masbiekers were incorporated by the British into what they labelled as the “Coloured” population which by then had incorporated a huge number of African slaves, indentured labourers, seamen and other migrants of colour from the continent. The early slaving of people from the territory of South Africa that we know today was later continued by Boer farmers in the Zuid Afrikaanse Republiek and this is thoroughly examined by Eldridge and Morton. The notion of slavery being a Cape practice alone is another of the historical myths deeply entrenched in South Africa. There is a strong case to argue that South African slaves were part of the Cape African slaved complement and certainly Africans captured in the ZAR were used as local slaves. War captive slaves, traded by African communities through Mozambique is a fact that deserves much more research. We thus see again evidence of “Ties that Bind Us” over the vast area of the whole of South Africa and we will elaborate more on this in the third part of this series. Parsons shows us that there is also something else which is interesting about the emergence of the Rozvi Confederacy out of the Munhumutapa Kingdom in stages. It was started when a Chief Changamire broke away from the north east Munhumutapa kingdom (sometimes called Monomotapa, and according to Pasons, incorrectly modernised to ‘Mwene Mutapa’ or Mwana Mutapa’ by some) and first established the Changamire kingdom which then gave birth to the Rozvi Confederacy or Empire. The culture of the Munhumutapa was that it was believed that kings were divinely appointed and were both priest and king. This goes back to Congo traditions. These priest-kings were called Mambos (not to be confused with a relatively weak tribe that emerged in Cameroon known as the Mbo). During the reign of one of the Mambos of the Munhumutapa, the Mambo Chikuyo (1494-1530), is when a civil war took place and Changamire declared independence in the south. Then around 1670 the new Changamire king was a man by the name of Dombo and by around 1680 he had built a powerful army known as the Rozvi (the destroyers). The Rozvi destroyed the Butwa kingdom in western Zimbawe and overthrew the Torwa dynasty. The power of Dombo extended over some of the Southern Pedi and Tswana groups that had migrated from south of the Limpopo to the Shashe River area of Zimbabwe. There are many complex splits and further developments but this paper will not go into those further developments as it is the overview that is the focus. In South Africa there has been a warping of this story into a storyline that a tribe called the Mbo swooped down from the great lakes into KZN and this is how the people of KZN, or those called Nguni came about. As has already been illustrated KZN’s population precedes this time by a thousand years. This of course does not exclude the fact that South Africas peoples were influenced by both the Munhumutapa and the Rozvi kingdoms as much as their formations was earlier influenced by South African peoples as were other kingdoms through into Mozambique too. It would do well here to keep remembering that this was still Southern Africa without borders and there was no such entity called South Africa. What is interesting is that a number of the groups that we refer to as being Nguni strongly express affinity to an AbaMbo ancestral root. It is more coherent that this root goes back to Mambos of the Rozvi confederacy rather than to the minor West African Mbo tribe. As previously noted there was no mass direct entry into KZN by a force of West African or Great Lakes people, but rather a slow migratory drift and an oral tradition kept alive some of the memory of old Mambo roots. These Mbo roots are spoken about in oral traditions ranging from the Ndwandwe, Hlubis and Ngwanes, but also by the Mpondos, Mpondomise and Mfengu. There is also a clan called abaMbo or AbaseMbo. The Swazi too has the lineage that go back in time to the Rozvi and Muhumutapa kingdoms. The Rozvi Kingdom was only finally destroyed by Nyamazuma in 1836 in the post Mfecane period during the flight from the south to the north of the Nongoni. Parsons elaborates on traditional oral records of there being 25 Mbo leaders before the founding of the Langeni under Dlamini 1 and that the Swazi royal lineage can be traced back in succession to Dlamini 1 who lived 14 generations before King Sobhuza II. Were these Mbo leaders related to the Mambos of Muhumutapa and the Rozvi? Historians are silent on this. Parsons also tells us that during the 17th and 18th centuries the Langeni of the Pongola marshlands were part of the Tembe kingdom of the Ronga and they may also have been at part of the Nyaka kingdom of the 16th and 17th centuries. The Langeni split up into new clan formations which moved southwards to join up in the Nguni emerging in KZN. These clans included the Ngwaneni, Dlamini, Ndwandwe and Langa. The latter in turn gave birth to the Hlubi, and Ngwane Swazi. So we saw Mapungubwe leading to Great Zimbabwe and Thulamela which in turn gave rise to the Butwa Kingdom of the Torwa dynasty of western Zimbabwe, while in northeastern Zimbabwe the Munhumutapa kingdom arose. It would later fall foul of civil conflicts and around 1680 CE the Rozvi emerged to assert its power across Zimbabwe and parts of the land south of the Limpopo. Parsons shows us that there were lots of movements to and fro over the Limpopo in the east and to and fro, between Zimbabwe and Mozambique. In this arena there were many trade routes to the coast and much opportunistic trading activity in ivory and slaves. Tsonga from the south and north were involved as were Tswana, Sotho, and Chopi-Tonga. Chopi and Tonga (who were related to the Tswana/Sotho), were originally part of the Rozvi confederacy. The southern Tsonga who did not move northwards formed three Ronga kingdoms – the Nyaka, Tembe and Maputo. These ended up in conflict with each other as well as with the Nguni in KZN, Swaziland and Mpumalanga. It is this conflict arena that European pirates based in Madagascar became involved to exploit the tensions. Wars provided the defeated as prisoners of war who were then traded to the pirates as slaves. Parsons further informs us that through this slave trade various Ronga tribes such as the Gwambe of the Wutonga and the Kosse and Manika became suppliers of slaves to the pirates and Portuguese, and the conflict territory extended right down to St Lucia. These slaves from the Nguni through to Ronga, Tsonga and Pedi would become detribalised captives exported to the Americas but also to the Cape of Good Hope as Masbieker slaves – an identity which merged into those the colonists called “Coloured”. With the decline of Ronga power in northern KZN, the Ndwandwe Chieftancy arose and consolidated its power over the region and incorporate many of its former enemies. The other powerful Chieftancy that arose around 1600 was that of Nyambose with his Mthethwa who also trace back to the Tsonga. These were the two most powerful regional formations up until the late 18th century. These Nguni traded extensively across the Drakensberg with Tswana-Sotho and there was much migration back and forth across the mountains and much adoption of each other’s cultures. Parsons also informs us that at the same time as the emergence of the Ndwandwe and Mthethwa there were the Zantsi clans spread along the coastal area of central KZN from Babanango mountain west of Ulundi. One of these clans split into the Qwabe clan and the Zulu clan and the latter settled on the Mhlatuze River. On the southern Nguni Parsons shows how they mainly emerged from the Zwedi clan, north of the Mzimkhulu River. These chiefdoms or kingdoms were the Mpondo, Bhaca, Hlubi and Mpondomise. The Bomvana later migrated to the Mpondos to seek refuge during conflict in the north. The Thembu lineage it would seem may come from as far west as the Tswana Kalanga but it is not entirely clear. It’s most probable that it evolved out of the backward and forwards movements over the Drakensburg going back to the 1600s. As these southern Nguni also shed refugees these impacted on the earl ║Kosa with their part sub-Saharan roots and the Khoena (or Khoi) both of the Kei River area when the Nguni sought refuge. The confederacy of Khoena(or Khoi) and ║Kosa were only welded into a kingdom at the time of Tshawe with the help of his allies among the Mpondomise. It is from this that the Xhosa were born with a strong Nguni hegemony but nonetheless also with a very strong Khoena (or Khoi) backbone as well as some San legacy too. There was a huge amount of genetic mixing in the two and a half thousand years before the Europeans arrived on the scene in South Africa. The age of tribes and Kingdoms is a relatively modern phenomenon dating to a genesis in the period of 900 AD to 1200 AD with the emergence of the Kingdom of Mapungubwe, and then following from there, the emergence of a number of Southern African kingdoms. The story is long and complex and it would detract from the focus of this paper to go into all of those avenues here. It is however necessary to just look at some of the South African “peopling landscape” because there has been a dominance in distorted South African history as told by the colonial narrative where the phenomenon called the Mfecane, itself full of distortion, is given overblown emphasis simply to hide the destructive role of the Great Trek of the Boers and the establishment of the Boer Republic on the one hand and the flooding of South Africa by British troops and settlers. In South Africa we misuse what has become a historical buzzword – the Mfecane or Difecane, which is very rigid concept of Apartheid history. As part of the Apartheid/Colonial language it was a crude attempt to define the 8 – 10 years of Shaka’s military life and its impacts. This is a warped elevation of what had actually been going on in Southern Africa for 300 years. In fact the Zulu tactics accredited to Shaka and the Mfecane scenario began with the advent of the age of kingdoms – Kalanga, Butwa, Munhumutapa, Changamerire, Rozvi, Wutonga, Tsonga, Ronga, Nyaka, Tembe, and Maputo kingdoms and the Ndwandwe and Mthethwa Chiefdomships.. It was the Rozvi phenomenon that first defined the later so-called Mfecane. The word Rozvi meant “the destroyers” whereas the word Mfecane/Difecane similarly meant “the crushing”. But there was a century between Dambo’s Rozvi and Shaka’s Mfecane and it requires no guesswork to see where Shaka’s tactics originated..
Shaka did not invent the military tactics of “horning” nor did he invent the short stabbing spear. These were products of the Rozvi Kingdom, and their King Dombo, and descendent Mambos. It was the racist and colonial mentality of George McCall Theal who fashioned this Mfecane notion based on what he called “the Africans barbarous Wars with each other” leading to turbulence in the regions where the Boer trekkers had gone to establish their republics free of British rule. Thus was born the notion of the Mfecane, tied to Shaka’s short military career where Shaka is presented as a Black Napoleon and as the motor of what was seen as African violence and migration. A number of new wave historians explain that the Mfecane as explained by colonial historians was a colonial myth used to conceal white wrongdoing and colonial expropriation. There are scores of historians who have engaged in this critique and debate. I can refer the reader to two works that may be of assistance in this regard – THE MFECANE COLLOQIUM – EXPRESSIONS edited by Sheila Meintjies and the MFECANE PARADIGM OVERTHROWN by Alan Webster. There are many other works that unpack the distortions too. The Mfecane as such pre-dates Shaka both as a KZN phenomenon but also as a Southern African phenomenon. These pre-Mfecane and early Mfecane waves span a period of two hundred years; the latter part of the almost 500 years that I call the “Age of Kingdom formation”. The Mfecane construct was created to justify the empty land theory of European colonialists and thus knowledge about the age of Southern African kingdom foundations was suppressed. The golden and other artefacts of Mapungubwe were actually locked away at Pretoria University from the 1930s and not spoken of for fifty years because it embarrassed a regime who kept alive the nonsense about South Africa being a relatively empty land “discovered” by the Europeans. What actually happened in Shaka’s time was the tail end of the rise and falls of numerous Kingdom formations. Shaka himself arose to fame through the expansion and conflict between the Ndwandwe’s and Mthethwa’s. Shaka was a soldier from a minor Zulu clan, with old Mambo influences of the Rozvi kingdom, who rose to power in war. His 10 years of glory was the end of 300 years of dramatic changes that had started around 1300 when the demise of Mapungubwe resulted in the rise of the Great Zimbabwe Kingdom of the Kalanga. The Rozvi Kingdom that had succeeded the Butwa Kingdom and the Munhumutapa Kingdom was the real beginnings of the events in KZN involving the conflicting expansions of the powerful Ndwandwe and Mthethwa Chiefdomships in the 1780 – 1819 period. The Mfecane referred to by colonial history is said to have its roots in the competition between these two Chiefdomships, but they refer simply to Shaka’s prominence between 1819 and 1828 as the Mfecane to deflect from the Boer Great trek of 1836 so as to imply a different root to the disruption caused by the formation of the two Boer republics. The mythology of the horning military strategy and the short stabbing spear attributed to Shaka, with its already 100 year previous history, was all part of the embellishments that equated the formation of a ‘Zulu nation’ with ‘Boer nationalism’. Shaka and his assassination actually brought the curtain down on events that started in 1670, rather than being the curtain-raiser. The road to the Rozvi Kingdom, goes even further back to 700 AD. Migrations back and forth from territories that we know today as South Africa were a constant feature for more than a thousand years before Shaka. Besides Shaka and his building of the Zulu nation on the defeats of the Mthethwas and the Ndwandwes, there were also a range of other state formations in Gauteng, Botswana, the Khalahari, Mpumalanga, Lesotho, and Gariep, both before and after Shaka. Parsons shows us that there were more than 30 tribal formations elsewhere across South Africa, besides the great Rozvi Kingdom There was processes of segmentation, differentiation and consolidation resulting in the Pedi Kingdom, the Bakoni phenomenon, the Hurutshe Kingdom, Rolong Kingdom, Tlhaping Kingdom, Tebele Kingdom, Nwaketsi Kingdom. There was also the emergence of the tribal formations of the Fokeng, Tlokoa, Koena, Kubung, Taung and Zizi along the road to the Sotho Kingdom which also involved incorporation of Khoi “Foundation People” and San “First People”. South African history suppressed these stories and tampered radically with the dating and conveying of what actually was happening, and this was done to project the white colonial paradigm. The same nonsense was at work with Xhosa history timelines and the conflation of abaThembu and its Kalanga roots, and the ║Kosa with their strong Khoi roots with that of the Nguni migratory drift phenomenon. Apartheid ethno-nationalist revivalists have gone to town exploiting the ignorance in our society of Southern African history. Thirty five years ago children in independent Southern African countries were learning the history which I hear elaborate, while still today in South Africa the story of the peopling of South Africa remains very warped. As we have seen, the engagement between the earliest migratory drifts of people with East African descent and the Tshua San gave birth to the Khoena (or Khoi) 2 100 years ago and the further engagement between the Khoena (or Khoi) pastoralists with the Kwale, Nkope, and Kalungu gave birth to the ever changing and evolving societies labelled as Ziwa, K2, Zhizo and Kalanga. We also saw that some of these migrated out of the region. But as drought receded in the Shashe-Limpopo region more newcomers entered the region and the community grew and developed. As it did so, a new identity grew as did segmentation, stratification and differentiation. Proto-national groups with class societies within each group began to emerge across Southern Africa. These would become the Shona, Batswana, Sotho, Venda, Pedi, and in time Ndebele, Zulu, Xhosa et al. These movements of people with close ties created the diversity of peoples of the whole of South Africa – a people without borders. In other words the people who finally crossed into the territory demarcated as South Africa today were not 2000 years ago actual people from East Africa, or West Africa or, the Great Lakes, who had set off on a journey that brought them quickly to South Africa. Rather, what happened was a long slow inter-generational drift by a process of multiplication of groups of people by division of each original group, thus creating a natural expansion. This expansion continued across the Limpopo and across the Vaal and across the Kai !Gariep. Historians Gilomee and Mbenga call this process “segmentation”. As families increased and fanned out, new land was broken and new settlements formed. Also when resources were over-burdened in one area new resources were sought. This also resulted in trading routes opening and extending as new products were found and traded. Gilomee and Mbenga show us that as larger and more advanced societies developed so a process of “differentiation” emerged as a means to assert political, social and economic control by elites over those regarded as subjects. This process was what eventually resulted in new tribes and kingdoms emerging in South Africa. Between 300 CE and 1000 CE archaeologists refer to the mix all of these people associated with the ShasheLimpopo Basin as a progression of Ziwa through to Zhizo societies. At Mapangubwe the first stratification through the process of “differentiation” was to emerge and ran alongside new manifestations of “segmentation”. This society became known as the Karanga/Kalanga culture which fanned out in different directions from Mapangubwe. Further eastwards, later in today’s Mpumalanga, they refer to the mix of different people in the region as the Bokoni society. This was before “differentiation” occurred to denote different clans, tribes and kingdoms. After the decline of the Mapangubwe kingdom in 1300 AD the first emergence of “differentiation” was the Karanga or “The Houses of Stone” people, who branched off northwards from the Shashe-Limpopo Basin to establish Great Zimbabwe but had also moved westward to Botswana, where they called themselves the Kalanga, before the Zimbabwe move. They also moved off Eastwards into today’s KZN and Eastern Cape long before the later migratory drifts into those regions. Various other groups emerged in Zimbabwe but already in Zimbabwe there were other differentiated groups as there had been a presence of the migratory drifts from the East a long time before this already. While the advanced Karanga/Kalanga society rose and declined at Mapungubwe and trekked to establish Great Zimbabwe and Khami, other developments were occurring Eastwards from Mapungubwe too. As the multi-ethnic Bokoni society in Mpumalanga experienced “segmentation” and “differentiation” tribes and kingdoms emerged such as the Pedi, Swazi, Ndzundza Ndebele. If one should go out and do a street survey of young people today and ask them to which national group they have affinity many will simply say Xhosa, Zulu, Venda, Korana, Sotho, Khoi, “Coloured”, Indian etc. Others may surprise you with more depth and also add a tribal name – Mthwethwa, Ndwandwe, Hlubi, Tshawe, Mpondo, Thembu etc; or a clan name – Madiba, isiThathu, Giqwa, Sukini, Gqwashu, Nqarwane, abelungu, amaMalawu. But if you went a step beyond that, very few would be able to either recite the older San and Khoena tribal or clan names and even few would be able to go back to the Bakoni and Kalanga, or to Ziwa and Zhizho, or Mambo, Kwale, Nkope or Kalundu cultures. In the Cape few will know that the only real “First People” were the !Ga !ne and the │Xam; and in KZN some may be able to cite the abaTwa but would not know the proper name for the “First People” – the │Xegwi. Indeed in the Cape many will argue that the Khoena (or Khoi) were not migrants and are the “First People” or refer to what has become a trendy use of “First Nation” imported from the USA and Canada. Many revivalists will argue that the “Coloured” people are the only real descendants of the Khoi or KhoiSan. Most will have no idea that they share no direct link to the original “First People” in the Cape Region and will have no clue about the full complexity of the origins of all South Africans and the ancestral bonds that we share. Nobody will be able to tell you that among the tributaries to “Coloured” (or Camissa) identity are slaves taken from Mpumalanga, Swaziland, KZN and Southern Mozambique. Most will also be oblivious of a number of large scale dna testing that shows those classified as “Coloured” as having as much Sub-Saharan (what is referred to as Bantu) dna as that of Southern African (San and Khoi) dna as Mellet shows through Soodyall’s project and as can be seen in the Human Genetics study by Wit, Delport et al..
Should you interview a cross section of young people on the street and tell them that when they go back to their roots that all national groups and tribes and clans are inter-related in South Africa, their eyebrows are really going to be raised. They understand the differences – all fairly modern; but don’t understand what are the” Ties that Bind Us”. They would really frown if you went a step further and explained that Namibians, Angolans, Zambian, Zimbabweans, Malawians, Mozambicans and the people of Botswana, Lesotho and Swaziland are all cousins to South Africans and not Mkwerekwere or “aliens”. This is both related to what happened in Southern Africa over 2000 years but also even in the case of the modern national and tribal identities the migrant labour system that built South Africa’s economy were also from all these neighbouring territories. Most surprising to Africans will also be if you tell them that they may have European and Asian ancestry too. Or if one mentions that we have Caribbean, Australian Aborigine, African American, Zanzibari, and Sene-Gambia modern roots too. This part of our history has been denied to them. In the course of this series these claims will become better understood in the second and third parts of the series. In recent times social scientists and DNA scientists have worked more closely together than before and particularly with the advances in genetics, more and more evidence is emerging that clearly shows that the San may have not been as isolated from other influences than previously thought. As already mentioned sheep which were not indigenous to Southern Africa seem to have been introduced from North Africa and the Middle East via East Africa. The presence too of the Lembe, – an African people with strong Jewish culture and DNA markers, in Limpopo also points to a Middle East connection. More and more evidence also emerges of old trading networks between the Khoena and the agro-pastoralist societies up through to the North and East of Africa – engaging with the Arabs, Indians and Chinese. South Africa was not as isolated as the colonial histories would have us believe. Exploration of social history that connects the South of Africa to the peoples of the world has not kept up with the hard sciences. One thing is clear is that we have to keep open minds and need to move out of what can be called a “primitivism paradigm” when exploring the social history of the San, Khoena and Xhosa of South Africa. The European notion of the “noble savage – part man and part beast” ha dominated the view of Africans and denied a societal history before contact with Europeans. It is unfortunate that some in the modern era actually romanticise the “noble savage” notions and act these out in the 20th century in the name of revival of heritage, rather than looking at indigenous knowledge systems, engagement with the world, and the trade and economy of indigenes prior to European contact. Archaeological and DNA studies are constantly providing new evidence, and as a result, new perspectives and schools of thought often arise concerning the Khoena societies of South Africa. South Africans are totally unaware of these strong cousin connections simply because they have been brought up on a diet of ethno-nationalism and racism in South Africa which only has a 200 – 300 year history. As the Khoena pastoralists and other agro-pastoralists moved into territories already occupied for thousands of years by different San peoples, rock paintings of the “First People” show us that at times there was peaceful coexistence and at other times there were clashes and that San hunter-gathers were either displaced from their lands by the Khoena (or Khoi) herders and farmers speaking a siNtu rooted language or they were incorporated into the new formations sometimes at a prestigious level for their spiritual attributes and sometimes at an inferior level and oppressed. At the Kai !Gariep (or Orange River territory) the Khoena impinged on the different River San such as the different Gai, !Eis, and Koa tribes of San of the Kai !Gariep, and in the Northern Cape they impinged on the │Uingkekwe, and the ǂUnkwe. In the area that became known as the Free State they impinged on the Makatea San, in Mpumalanga and Zululand in the Khoena (or Khoi) together with the Bakoni, Tsonga and others who came to be known as Nguni dispersed, incorporated or assimilated ║Xegwi “First People” and in the Transkei the Khoena and the early ║Kosa displaced, or incorporated the !Ga !ne and further south the “First People” known as ║Xam were displaced from their coastal ancient habitat, inland to the Central Cape. All of these slow migratory drifts, in what would become South Africa, happened between 450 AD and 1100 AD. Archaeologists show us that by the second millennium AD the Eastern Khoena (or Khoi) migratory drift had reached the Western Cape. The Cape Khoena (or Khoi) were thus not direct descendants of the │Xam-ka !Eis and although they are indigenous South Africans as are all other African peoples, they were not indigenous to the Eastern and Western Cape as is often unfortunately claimed. They are also not “First People” of South Africa but rather have the special place of being the first new creation as the result of the coming together of Tshua San and the first pastoralists who introduced livestock to the south. The Khoena (or Khoi) also have a special place in our heritage as they were a foundation people all along the Limpopo who embraced the three migratory drifts from East Africa, the Great Lakes and from Angola. From the integration of the Khoena and these African streams all modern African tribes which were born in South Africa can trace their origins. This is a cornerstone of the “Ties that Bind Us”. Every tribe can claim to have some Khoena (or Khoi) ancestral heritage, and indeed broadly speaking some San ancestral heritage. All indigenous African communities of South Africa are indigenous creations that occurred here. Mellet shows that in the largest ever genetic study of 483 volunteers in the ‘Living History Project’ conducted by Professor Himla Soodyall of the University of Witwatersrand Human Genome Diversity and Disease Unit in cooperation with sociologist, Dr Wilmot James, honorary professor of human genetics of the University of Cape Town genetic science results proved much of what is outlined in this paper. In the study people were able to self-identify with South Africa’s so-called race silos or they could opt for non-declaration and the following numeric emerged – Black 183; Coloured 107; White 153; Asian 21; and undeclared 34. For those who declared themselves to be ‘Black’ in terms of their MtDNA (maternal) there was a result of 69% subSaharan African DNA to 4% North African and 17% Southern African DNA associated with San and Khoena (or Khoi) ancestral heritage. For their Y-DNA (Paternal) there 85% Sub-Saharan DNA to 6% Southern African associated with San and Khoena (or Khoi) and 2% North Africa. For those who declared themselves as ‘Coloured’ in terms of their MtDNA (Maternal) there was a result of 32% subSaharan African DNA to 13 % Eurasian and 22 % Asian, and with 30% Southern African DNA associated with San and Khoena (or Khoi). That is only 13% more than those self-identifying as ‘Black’. For their Y-DNA there was a DNA result of 22% sub-Saharan African DNA, to 48% Eurasian and 16% Asian, and only 2% Southern African associated with San and Khoena (or Khoi). This was 4% less than those self-identifying with ‘Black’. These results show us that modern day public claims around singular ownership of Khoi and San identity is highly questionable. Modern day denialism among ‘Black’ and ‘coloured’ of the ties that bind and about ‘race-purity’ are complete nonsense. The ‘othering’ of Black by ‘Coloured’ or Khoi revivalists on the one hand and the rejection by ‘Blacks’ of ‘Coloureds’ as being non-Africans has no basis in fact. Archaeological, genetic, anthropological, sociological, linguistic and historical information dispel the many myths that abound and are opening up the wonderful truth of our past that has the ability to unite us rather than divide us. As one will see in the paper on migrants of colour to South Africa – forced and voluntary over the 17th century to the late 19th century through the slave trade, indentured labour system and other events the DNA of South Africans changed even further. Here again I will reference other aspects of Prof Soodyall’s study. The complexities and the depth of highly developed African societies with social histories that in South Africa are now also coming to light after a long period of suppression by Christo-European intellectual hegemony, responsible for the destruction of African civilizations and, for papering over huge elements of a challenging African past. The evolution of Khoena social history over this migration in particular requires much more collection of evidence and research. When it comes to the Xhosa, African historians like Soga and Mqhayi have given us insights into the early Bantu, abeNguni, abeMbo and amaLala and a most definitive history was produced by Jeff Peires, entitled “The House of Phalo – a history of the Xhosa in the days of their Independence”. This also covers some of the history of the early Khoena and their linkages to the Xhosa. The most quoted Richard Elphick unfortunately looks at the Khoena (or Khoi) contextual to the founding of “White South Africa”, and as such, although it is a great resource, it is also a reference work that has entrenched a skewed approach to seeing the Khoena people in relation to other African indigenes of South Africa. Besides the hard sciences and the volumes of work done on the social history of the Xhosa there are also oral traditional records that has been utilised by African social history scholars. But alongside this a traditional system of oral genealogy utilised by praise-singers and known as Isiduko. This system in Xhosa society records the many tributaries of the Xhosa heritage showing San, Khoena (or Khoi), Sotho, Tswana, Northern Nguni, various European tributaries, Asian, “Coloured” or slave, and other tributaries to the modern Xhosa people of today. Isiduko is a testament to the complex ties that bind us as South Africans. The genealogy Institute of South Africa, though mainly focused on the genealogy of the European descendants, also records hundreds of unions between persons of colour and Europeans. Professor Hans Heese also captured this record in his work “Groep Sonder Grense”, and in the era of the internet the website “First Fifty Years” also records the many cross racial family ties in the early colony. Over the period 350 AD to 1850 AD almost every new tribe or national group that emerged with a distinct identity in South Africa would involve some ancestry of the Khoena herders. Whether today one sees oneself as Venda, Zulu, Xhosa, Sotho, Griqua, Camissa or “Coloured”, Hessequa, Tswana, Venda or any of the other tribes – the likelihood is that Khoena (or Khoi) is part of your ancestral make-up. Thus the mixing of Khoena (or Khoi) and siNtu speaking agriculturalists did not first take place in the Eastern Cape as colonial historical accounts would have us believe and neither was it an antagonistic coming together. Evidence shows that between 200 AD and 450 AD Khoena herders and Bantu agro-pastoralists lived alongside each other in the northern reaches of South Africa and southern Zimbabwe. Elements of both Khoena and small numbers of Bantu are likely to have migrated down to the Kai !Gariep and further into the Eastern Cape at similar times and neither were ‘First People’ of that region. The Eastern and Western and Central Cape had been occupied for thousands of years by the Cape San or │Xam people who were unrelated to both the Khoena and early ║Kosa. The Khoena did not only migrate from their place of origin in Northern Botswana to the Limpopo and to the Eastern Cape and finally to the Western Cape. They also migrated into Namibia and down into the Western Gariep territory and into the West Coast of South Africa. Furthermore they migrated from the Limpopo all the way over into northern KZN. All along these routes through interactions with other peoples, their bloodlines and culture entered every other tribal formation. The emergence of the great South African Kingdom of Mapangubwe is the missing middle of the story of the peopling of South Africa, which for too long has been dominated by a highly skewed and distorted colonial version of history. As South Africans we will only find peace with each other when we explore the very strong ‘Ties that Bind Us’ in ancient cousin connections. A big part of coming to this understanding revolves around the question of who were the Khoena (or Khoi) people? Brenzinger shows us that part of the distortion of social history is the inappropriate use of the archaeological, linguistic, genetic and anthropological term created in 1928 and 1930 by German academics – namely ‘KhoiSan’. German anthropology at this time of the rise of Nazi Germany and its stranglehold over academia should lead us to be cautious. The linguistic theory of Khoena and southern San language being the same was also later proven to wrong. The Khoena linguistic link was to Tshua San in the north. The language issue is much more diverse in Khoe and San communities with lots of nuances. Brenzinger needs to be read by all who misuse this term as though it refers to a race or specific people. Although the Khoena (Khoi) have strong connections to one northern Kalahari San people, the Tshua, they also have another root going back to Nilotic and East African people, and they are not directly related to the Cape San, the │Xam. They also through the journeys taken have sub-Saharan or Bantu DNA too. While some Khoena migrated westward, the larger part of the migration was through the Eastern Cape, along these journeys through a process of multiplication of tribes by division of tribes – “segmentation”, a footprint was left throughout the route in the form of inter-related tribes. These tribal formations then also went through a process of constriction and absorption reducing the tribes considerable by the time Europeans started the conquest of the Western Cape, Northern Cape, Central Cape and Eastern Cape. The Khoena were not alone in the Eastern Cape. Evidence shows that other agro-pastoralists had also slowly migrated alongside them into the region, dated around 650 AD. Thus as shown by Peires mixed Khoena and early ║ Kosa societies lived side by side, but both impinged on the existing “First People” of the Eastern Cape – the !Ga !ne and the │Xam. All of these interacted with each other and each left a mark on the other included shared genes through procreation. These relations were marked at times by co-existence, incorporation and by pastoral encroachment, friction and displacement. Inter-marriage and sexual relations occurred along with social engagement. The !Ga !ne and the │Xam-(Cape San) had already been living across the Eastern, Western and Central Cape areas for centuries as the “First People” before the Khoena and ║ Kosa arrived with their pastoral and agricultural culture. The hegemony of agro-pastoralism brought into the Southern Cape arena by both the Khoena and the early ║ Kosa and the later evolved Xhosa, displaced the hunter-gatherer culture. This set the scene for later migration of Nguni cultures into the Eastern Cape. It is over 1000 years that the Khoena developed sustainable and cohesive communities which were resilient. When communities grew too large and livestock plentiful communities split off and moved ever further south. There are no overt signs that the development of these community formations was as a result of any huge continuous antagonistic and violent clashes. There would naturally have been friction and skirmishes involving violence that would certainly have taken place and this would largely occur when pastoralism and hunting traditions clashed. But such clashes also took place between pastoralists themselves as well as between agro-pastoralists. Alliances were often formed between clans and tribes and when one alliance was victorious in war the defeated would be incorporated. There is a long history of these processes in the Eastern Cape. Elphick, notes that the signs are there that suggest there was a communication chain and trading chain that could be tracked from the southernmost communities right through to the Gariep, and beyond to the far off north. This migration drift ending in the Southwestern Cape would have been complete by the end of the first millennium. The Eastern migration drift of the Kei Khoena and the Western migration drift from the Nama and client offshoots were complete long before the first European arrivals. From oral accounts, (and there are different accounts where emphasis changes depending on the interests of those giving the account) there had been a mixed Khoena-Xhosa people called the Cobuqua people who by the time of the arrival of the Europeans seemed to have existed no more than only in oral tradition. As shown the Xhosa originally were not simply an Nguni people, but predate the time of the Nguni drift by at least 800 years. The Khoena-║ Kosa originally were a mix of Khoena pastoral migrants and a small trickle of siNtu language influenced agro-pastoral migrants who made their way southwards from the Gariep after migrating from the Limpopo and Eastwards. Both the Khoena and the early ║ Kosa would have mixed with other peoples along such a long journey in time. They moved into the Eastern Cape, much as in the same way the Bakoni drifted from Mpumalanga into KwaZulu – Natal. These Khoenaa-Xhosa clans around the Kei River and Keiskamma over time were affected by further migrations from the Gariep, Lesotho and from KZN. Further infusions of more Khoena (Khoi) clans as well as Nguni clans from the Mpondomise, Mpondo, Bhaca, and Hlubi, as well as that of the Tembus (said to be Kalanga rooted) would later change the character of the Khoena and║ Kosa, giving birth to the beginnings of the modern Xhosa kingdoms. Effectively the Xhosa is a mixed Khoena-║ Kosa -Nguni –Kalanga people. Parsons and others show that the Nguni are a South Africa born people who are a mix of at least four streams of peoples. The first were the Bakoni who were a mix of Khoena and early siNtu speaking farmers who made their way from Mapangubwe in the West to Mpumalanga with further migrations from Zimbabwe. Then there were the ║Xegwi San ‘First People’ of KZN region. The third part of the mix was that of the Tsonga who gradually migrated from Zimbabwe and Mozambique and were a people who emerged partly from South African northward migratory drifts into Zimbabwe and also from further Kwale and Nkope cultural streams of migratory drifts; among these the Rozvi Mambo influence. It is also shown by archaeologists that there was a Kalundu influence as well showing old Angola roots too. There was no specific tribe called Nguni that invaded South Africa. Rather it was a local emergence of people with multiple roots and a social history that developed locally for a thousand years before bringing its influence to the peoples of the Eastern Cape. These Nguni were also not the only influence on the people of the Eastern Cape which has multiple influences as the very confederal nature of Xhosa social structuring attests. Parsons also shows that it was from this mix that the Ndwandwe and Mthethwa Kingdoms arose and established hegemony in their regions over less powerful tribes and clans, while other tribes and clans to their south spread in a slow migratory drift becoming Hlubi, Bhaca, Mpondo, Mpondomise, and contributing to the Thembu – each establishing themselves territorially as kingdoms and had their own array of clans. Peires gives us the somewhat porous beginning of the development of the Xhosa and shows how drifters from Nguni tribes ultimately connected with the Khoena-║ Kosa clans and began to change the initial stronger Khoena nature of the collection of clans around the Kei and Kieskhamma so they had more of a dominant Nguni character. A new Xhosa Kingdom only arose much later at the time of Tshawe said to be the son of Nkosiyamntu. Peires names the Khoena (Khoi) clans and tribes within the Xhosa today – Ngqosini (Khoena-Sotho), isiThathu (Xhosa/San -!Ga !ne), Giqwa, Sukini, Gqwashu, Nqarwane, Cete (Khoena – San !Ga !ne- Bantu), Inqua, Gonaqua, Damasqua and Hoengeyqua (the latter three making up much of the│Xam/Xhosa known as Gqunukhwebe). Each have their own story of inclusion and it is spread over time. According to Peires the isiThathu were a relatively late incorporation into the Xhosa that emerges from an encounter between Rharhabe when he crossed the Kei River in the 1770s and he engaged in aggression against the Khoena but more particularly against the San. It is said that he found three Khoi men next to the river and it is from the Xhosa word for three that the isiThathu clan were named. But the three also is said to reflect three unrelated Khoi tribes. Peires shows us how the Sotho Khoena, the Ngqosini ,were incorporated much earlier in the 1600s by the father of King Phalo, King Tshiwo, and this laid the basis for the formation of the Gqunukhwebe under Khwane. Khwane was succeeded by Tyhara who was succeeded by Tshaka who was succeeded by Chungwa who was murdered by British troops in a genocidal attack. The Gqunukhwebe would in the 18th century incorporate the Gonaqua, Damasqua, and Hoengeyqua. The Inqua under the only Khoi King Hinsati allied with Tshiwo’s son Gwali after Tshiwo died. But Thsiwo’s brother Mdange brought forth the child Phalo who he said was Tshiwo’s true heir. Mdange attacked and defeated both Gwali and his Khoi ally Hinsati, and then became regent until Phalo was of age. The Inqua Khoena and its three clans was then incorporated into the Xhosa too and they expanded the Gqunukhwebe. So, from the time of Tshawe through to Phalo and right up to Chungwe various incorporations of Khoena into the Xhosa occurred. A system called ubuTshawe allowed the royal family through invocation of Tshawe (long passed on) to confer membership of the royal clan on commoners and this effectively expanded the Xhosa confederacy. Effectively by the time of full on contact with the Europeans 11 Khoi formations were in the Xhosa confederacy. The post Tshawe creation of a Xhosa Kingdom of mixed San, Khoena, early ║ Kosa and Nguni stretched from the Kei area right down to the Zuurveld. This new Kingdom emerged alongside abeThembu Kingdom with its old Kalanga roots. The Xhosa entity differed a lot from other kingdoms as it allowed for creating ubuTshawe chiefs as part of the royal family from commoners. This created a confederal ordering where tribes and clans maintained a degree of autonomy short of having national status. The Xhosa kingdom saw the House of Phalo emerge as a kingdom that incorporated the Inqua kingdom of Khoena king Hinsati (Khoebaha Hinsati). It would later split into new Xhosa polities. It is unfortunate and a corruption of many stories and complexities of interactions between Nguni, original ║ Kosa, Khoena, !Ga !ne, /Xam and mixed Khoena-Xhosa Gqunukhwebe in the Eastern Cape that these events long before the arrival of the Europeans are presented crudely as a violent ‘black’ invasion that destroyed the Khoena and San in the territory of the Southern Eastern Cape. The reality was a lot different. It was first Boer and then British colonialism that only through scorched earth practices outmatched the united forces of Khoena and Xhosa. By the time that the Europeans arrived at the Cape, the scenario in the Zuurveld of the Eastern Cape was fairly settled. Khoena and Xhosa-Khoena such as the Gqunukwebe formations were living side by side in prosperity. The Cape San lived beyond that territory in the Central Cape mountainous areas. Figures of Khoena across the Cape are given by academics as ranging widely between 100 000 to 200 000 and the │Xam or Cape San said to be around 30 000. To the South beyond the Gonaqua, there were another eight Khoena tribal formations right down into the Cape Peninsula that were prosperous sheep and cattle farmers – Hessequa, Attaqua, Outeniqua, Chainouqua, Cochouqua, Goringhaiqua, Gorachouqua, Chariguriqua and other smaller offshoots of these. They were rich in cattle and sheep herds of tens of thousands of each of these livestock. Their pastoral economy followed sound sustainable livestock farming methods involving rotational grazing. From the early 17th century there also emerged a formation of drifters from other Khoena tribes that establish a modern trading centre next to the Camissa River in Table Bay, who the Europeans called Watermans and other tribes referred to as their lost children – the Goringhaicona. Some of these travelled abroad but not all survived these journeys. Two however did rise to prominence as we will see in the next chapter. All of these groups were attacked, dismantled, and pacified over 15 wars of ethnic cleansing, fiercely resisted by free Khoena over 176 years between 1652 and 1828. Today there is a vocal, but unfortunately highly splintered Cape Khoena Revivalist movement of descendants who are attempting to resurrect the old tribes. They are exercising their right to self-determination and to self-identify but often on very tenuous grounds lacking authenticity. The core focus is to revive and respect the memory of those decimated and removed through ethnic cleansing or ethnocide wars of the European settlers. There are a number of formations who respectfully remain true to this cause. Among them however are lots of other little formations of chancers who probably have no real Khoena connections, and display disturbing pathologies of aggression and racism. There also seems to be interest in getting financial and land rewards based on dubious claims by individuals surrounded by small bands of friends jumping on the bandwagon. There further seems to be evidence that ultra-rightwing white Apartheid revivalist characters are involved with these fringe elements and are promoting violent secession of the Western Cape. Much of their discourse is pseudo history that is easily disproven and as are claims which are fraudulent. It is important to try and distinguish between such charlatans desperately seeking attention with gimmickry, and those who really care about their communities and our hidden and marginalised heritage. The lunatic fringe do great harm to the cause of restoring Khoena memory and restorative justice and should not lead to genuine self-determination claims being dismissed. As long as those genuinely treading the path of restorative justice follow the logical parameters of ‘revivalism’ and are careful not to make claims that go beyond those parameters or mimic colonial historical distortions, this can be a positive initiative. Also as long as these do not simply take this route to self-enrichment by abusing cultural heritage, one can only support this as heritage activism. Personally I don’t think that the approach of actually trying to re-create the tribes of 400 years ago, now in the 21st century is neither wise nor viable. It would have been far better to establish one single association of memory together with a legal trust or foundation, and then had a system of chapters therein that could be named in memory of the now extinct tribes. The model unfortunately being followed is trying to use the same grounds and parameters of the tribes and kingdoms that were given patronage by the Apartheid Regime and then later by the ANC government following in the same footsteps. The patronage model along with an unauthentic tribal model can only end up disastrous and un-productive. But that is just my opinion based on long experience in organisational development. Revivalism it has to be remembered is not the same as actually genuinely being the old authentic tribes regardless of how much effort that goes into trying to make it so. Authenticity is also something that lines a broader public behind the cause or alternatively the lack thereof invites ridicule. However we cannot ignore some very worrying tendencies. Some of these include claims to be the actual old tribes, a number of which disappeared long before the colonial onslaught. Paying tribute and reviving the memory of the old tribes through developing a formation of memory is one thing but declaring that one is the actual tribe which up to three centuries has not been in existence is fraught with dangers of non-authenticity. At least nine Khoena tribes exist within the Xhosa and retain their clan names within the Iziduko system. 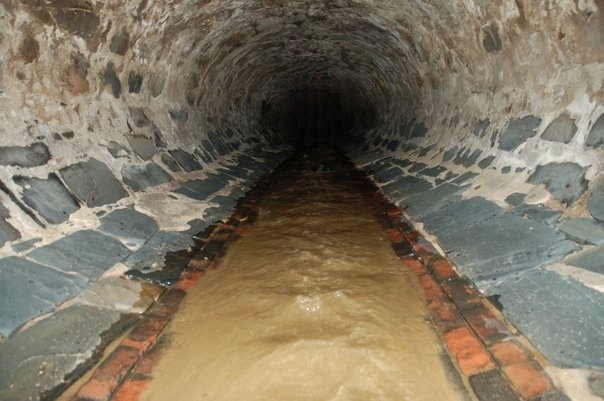 Once the floodgates are opened anyone can literally invent a tribe and a title and make a dubious material claim. One character actually makes a claim of his group being the heirs of an empire and he being emperor based on a bit of Dutch speculative fiction and incorrectly uses a presumed title mentioned only once by the Dutch who did not know its meaning, as though it denoted a tribe. It’s absolutely bizarre. Thus there has been an embracing of questionable history. There are also false claims being made of “Coloured” people being the only true descendants of the San and Khoena – and claims of being “First People” or “First Nations”. There is denialism around the dreadful past assault on the San by the pacified Khoena as well as a long history of denial of collaboration by pacified Khoena against the San, Free Khoena, Xhosa and right up to the Apartheid era as the Cape Corps and security police operatives. Then also greatly worrying is a language of discourse that is very similar to old white-power neo-nazi groups like the Afrikaner Weerstand Beweeging, where insults are made about other Africans who are referred to as alien invaders. This is nothing but Apartheid ideology in a new guise and is highly disrespectful of our multi-faceted ancestral heritage and, abusive to San and Khoena ancestral experiences. Clearly these approaches by a small minority, runs completely opposite to indigenous African heritage and also to the “Ties that Bind Us”. But this represents but one of two extremist poles. The other extremist pole also mimicking the Apartheid ideological approach has found a niche within the mainstream of modern political parties orientated around a narrow ethnic interpretation of “Black” as only being those tribes recognised under the Bantustan system as being “Black”. Proponents of this divisiveness separate those they label as “Coloureds”, and call these “a non-African minority”. This too is an extremist distortion. Both of the extremes that have been mentioned fail to understand the full depth and breadth of our ancestral heritage and how closely we are bonded. By looking honestly at our history and heritage and beyond narrow ethno-nationalism that is fairly modern in origin, we may just discover the ingredients for resolving what is referred to as the “National Question”. The beginnings of the “Peopling of South Africa” showed the way progress occurred towards one united multicultural society. But it also saw class stratification and then that giving way to segmentation and differentiation and this in turn saw a proliferation of kingdoms. The diversity we have today grew out of the trajectory that we saw at Mapungubwe. We also saw this pattern repeat itself in Bokoni and again and again. We all have a stake in these foundational experiences. These are the “Ties that Bind Us”. Because these have been written out of our historical and heritage script as though Southern Africa had no social history before the European colonist arrived, we struggle to find answers about our past. Hopefully, this modest beginning to look at our collective earliest roots in South Africa, and the need to set aside European myths, and prejudice, that some have taken ownership of – maybe, just maybe, we will realise Mayibuye i Afrika (let Africa be restored/return). What this chapter presents is enough evidence that warrants a complete new look at our approach to pre-colonial social history in South Africa. This is certainly not an exhaustive look at our pre-colonial history. Indeed, it just scrapes the surface and in broad strokes covers 200 BCE through to 1600 CE. Generally most South Africans don’t know this part of our history and heritage. I am simply a heritage activist, come heritage whisperer and no expert in all of these disciplines referenced, but it has ignited a fire within me to go and look much more deeply at how we view our history and how we view each other. I hope I have been able to stir an exploratory bug with readers. I also hope that much of the information provided debunks popular myths and hopefully undermines notions of ethnic and race purity and any other ideas that result in “othering” people. “Othering” of anyone is contradictory to the Freedom Charter and to our Constitution of the Republic and to its “Bill of Rights”. Our national motto proclaims that we are “United in our Diversity” but we sometimes put too much emphasis on our diversity at the expense of what it is that unites us. Our bonds in our diversity are a lot deeper than most of us know, simply because of historical distortions. I do not wish to suggest that this version of history that I have shared is “THE TRUTH”, but rather it is my sincere intention that I would like people to embrace exploration of our past outside of the straight-jackets placed on thinking that we have inherited from the Apartheid neo-Fascist and anti-intellectual era. Huffman TN; Mapungubwe and Great Zimbabwe: the origin and spread of social complexity in southern Africa. Journal of Anthropological Archaeology, 28, 37–54; (2009) – read with – Huffman TN; Mapungubwe and the origins of the Zimbabwe culture. In M. Lesley & T.M. Maggs (Eds. ), African naissance: The Limpopo Valley 1000 years ago (South African Archaeological Society Goodwin Series 8), pp. 14–29; (2000). Schlebusch C; Lactase persistence alleles reveal ancestry of Southern African Khoe pastoralists; Uppsala Bio Life Science Pathfinder; [journal/ April] (2014). Eastwood E, Blundell, G & Smith BW; Art and authorship in southern African rock-art: examining the Limpopo-Shashe Confluence Area. In: Blundell, G., Chippindale, C. & Smith, B.W. (eds) 2010. Seeing and Knowing: 75-97. Johannesburg: Wits University Press. Schoeman M: Political Complexity North and South of the Zambezi River; Political History, Southern Africa; Online Publication Date: Jun 2017; DOI: 10.1093/acrefore/9780190277734.013.69 ; http://africanhistory.oxfordre.com/view/10.1093/acrefore/9780190277734.001.0001/acrefore-9780190277734-e-69#acrefore9780190277734-e-69-note-37 -( Read with) – Wood, “Making”; Marilee Wood, “A Glass Bead Sequence for Southern Africa from the 8th to the 16th Century AD,” Journal of African Archaeology 9 (2011): 67–84; Marilee Wood, Interconnections: Glass Beads and Trade in Southern and Eastern Africa and the Indian Ocean—7th to 16th Centuries AD (Uppsala, Sweden: Uppsala University, 2011). Hall M; Farmers, kings and traders: the peoples of southern Africa, 200–1860. Chicago: University of Chicago Press. (1990) M. Hall, The Changing Past: Farmers, Kings and Traders in Southern Africa, 200 –1860 (Cape Town, David Philip, 1987), p. 31. Huffman T N; Ceramics, settlements, migrations; The African Archaeological Review, 7; pp.155-182 ;http://msu.ac.zw/elearning/material/1329553444huffman%201989%20ceramics%20settlemets%20and%20migrations.pdf read with – Huffman, TN; Handbook to the Iron Age: the archaeology of pre-colonial farming societies in southern Africa. Scottsville: University of KwaZulu-Natal Press (2007); – Read with – Huffman TN; Mapungubwe and Great Zimbabwe: the origin and spread of social complexity in southern Africa. Journal of Anthropological Archaeology, 28, 37–54; (2009) – read with – Huffman TN; Mapungubwe and the origins of the Zimbabwe culture. In M. Lesley & T.M. Maggs (Eds. ), African naissance: The Limpopo Valley 1000 years ago (South African Archaeological Society Goodwin Series 8), pp. 14–29; (2000). Calabrese J A; Inter-regional interaction in southern Africa: Zhizo and Leopard’s Kopje relations in northern South Africa, southwestern Zimbabwe and eastern Botswana, AD 1000 to 1200; African Archaeological Review 17;pp 183–210. (2005) read with Calabrese J A; The emergence of social and political complexity in the Shashi-Limpopo Valley of southern Africa, AD 900 to 1300. Ethnicity, class, and polity (BAR International Series 1617. Cambridge monographs in African archaeology 69). Oxford: Archaeopress (2007) Calabrese, J.A., 2007. Huffman TN; Mapungubwe and Great Zimbabwe: the origin and spread of social complexity in southern Africa. Journal of Anthropological Archaeology, 28, 37–54 (2009) Huffman T N; Ceramics, settlements, migrations; The African Archaeological Review, 7; pp.155-182 ; Huffman T N; Ceramics, settlements, migrations; The African Archaeological Review, 7; pp.155-182 ; http://msu.ac.zw/elearning/material/1329553444huffman%201989%20ceramics%20settlemets%20and%20migrations.pdf read with – Huffman, TN; Handbook to the Iron Age: the archaeology of pre-colonial farming societies in southern Africa. Scottsville: University of KwaZulu-Natal Press (2007); – Read with – Huffman TN; Mapungubwe and Great Zimbabwe: the origin and spread of social complexity in southern Africa. Journal of Anthropological Archaeology, 28, 37–54; (2009) – read with – Huffman TN; Mapungubwe and the origins of the Zimbabwe culture. In M. Lesley & T.M. Maggs (Eds. ), African naissance: The Limpopo Valley 1000 years ago (South African Archaeological Society Goodwin Series 8), pp. 14–29; (2000). Mellet PT; Lenses on Cape Identities – Exploring roots in South Africa; Pg23; DIBANISA; (2010) – read with Slave Roots and Oral Traditions in Southeastern Africa –Benigna Zimba, Edward alpers & Allen Isaacman; Filsum; Mozambique; (2005) – read with – Harries P. (2000) pg 32. Culture and Classification: History of the Mozbieker Community at the Cape. Social Dynamics.